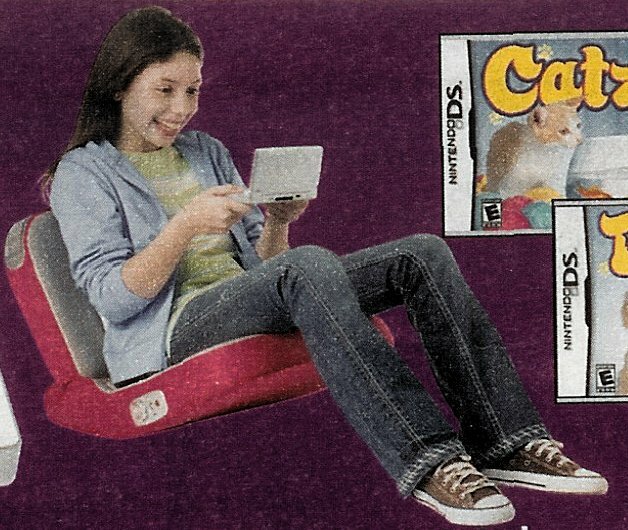 A photo gallery of pre-teen boys and girls wearing chucks in newspaper supplement ads. 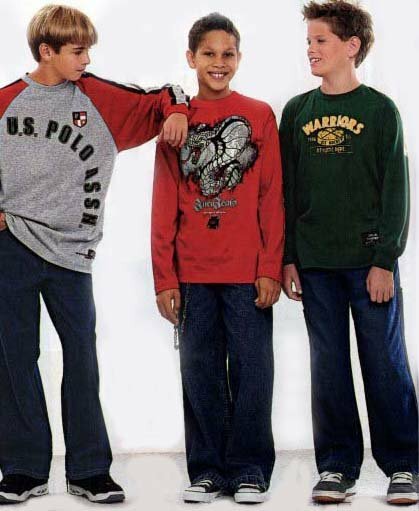 1 Chucks Worn By Pre-Teen Boys and Girls in Ads Pre-teen boy wearing black chucks. 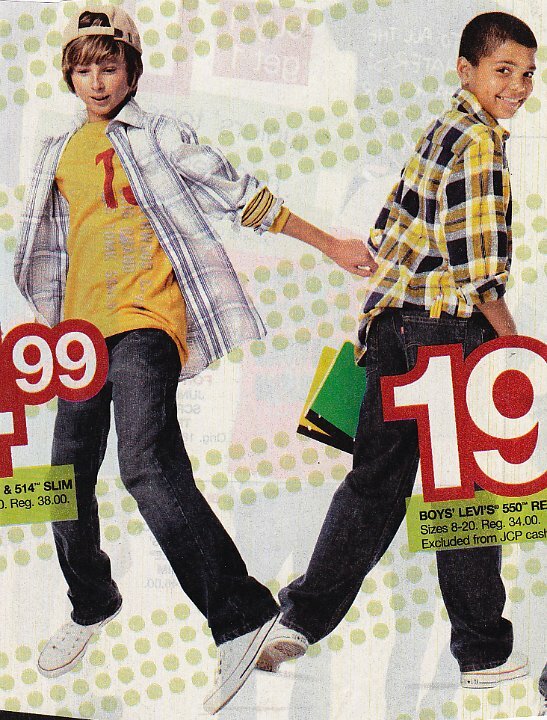 2 Chucks Worn By Pre-Teen Boys and Girls in Ads Boy wearing black chucks. 3 Chucks Worn By Pre-Teen Boys and Girls in Ads Girls wearing black and Carolina blue chucks. 4 Chucks Worn By Pre-Teen Boys and Girls in Ads Boy wearing brown and Carolina blue 2-tone chucks. 5 Chucks Worn By Pre-Teen Boys and Girls in Ads Young teens wearing black, Carolina blue, and black and white 2-tone chucks. 6 Chucks Worn By Pre-Teen Boys and Girls in Ads Boys wearing optical white and black chucks. 7 Chucks Worn By Pre-Teen Boys and Girls in Ads Young teen boy wearing chocolate brown high top chucks. 8 Chucks Worn By Pre-Teen Boys and Girls in Ads Young teens wearing charcoal and black chucks. 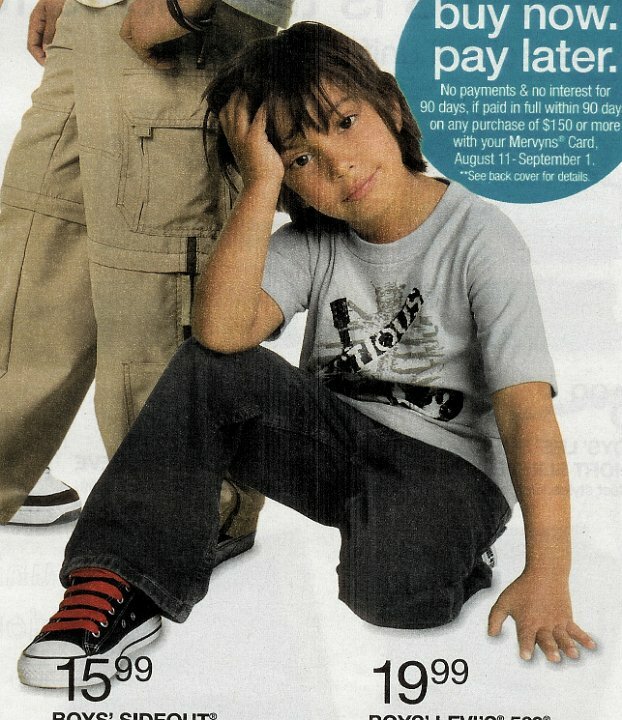 9 Chucks Worn By Pre-Teen Boys and Girls in Ads Boy wearing black chucks. 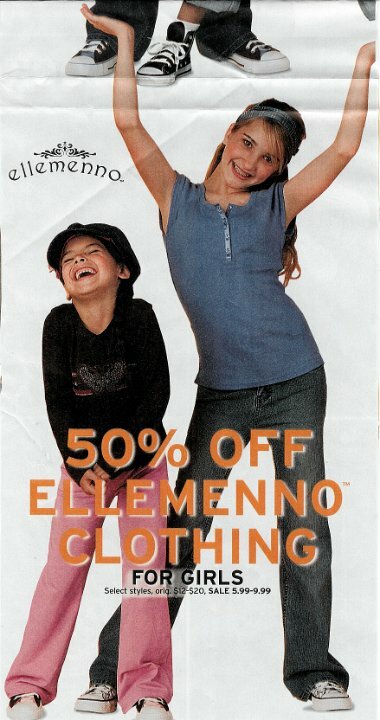 10 Chucks Worn By Pre-Teen Boys and Girls in Ads Teenaged girl wearing black chucks. 11 Chucks Worn By Pre-Teen Boys and Girls in Ads Young teenaged boy wearing black chucks. 12 Chucks Worn By Pre-Teen Boys and Girls in Ads Boys wearing black high top and low cut chucks. 13 Chucks Worn By Pre-Teen Boys and Girls in Ads Young teenaged girl wearing black chucks. 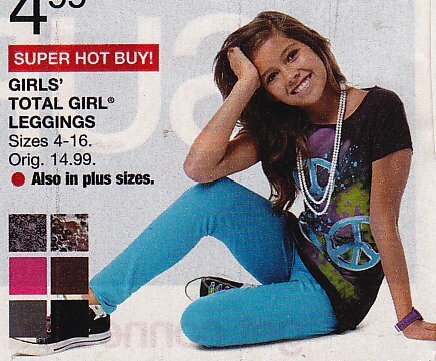 14 Chucks Worn By Pre-Teen Boys and Girls in Ads Girl wearing sky blue chucks. 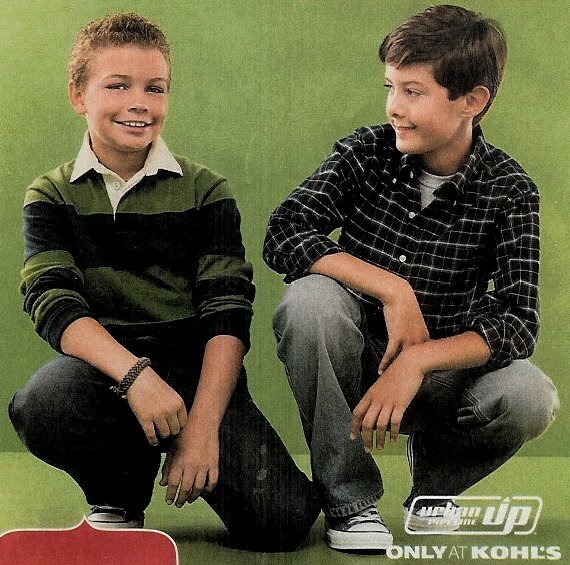 15 Chucks Worn By Pre-Teen Boys and Girls in Ads Preteen boy wearing black low cut chucks. 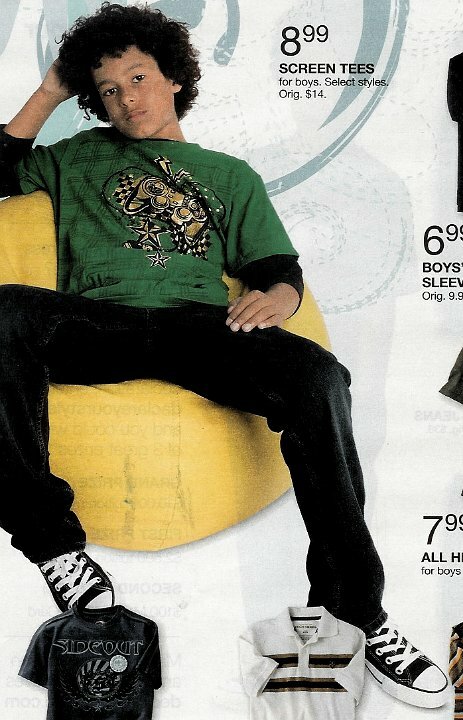 16 Chucks Worn By Pre-Teen Boys and Girls in Ads Boy wearing black chucks. 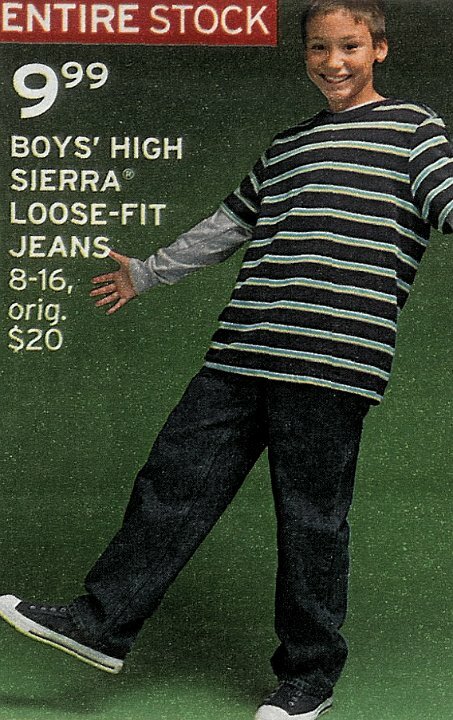 17 Chucks Worn By Pre-Teen Boys and Girls in Ads Boy wearing distressed black high top chucks. 18 Chucks Worn By Pre-Teen Boys and Girls in Ads Preteen boy wearing black chucks and preteen girl wearing Converse label pattern chucks. 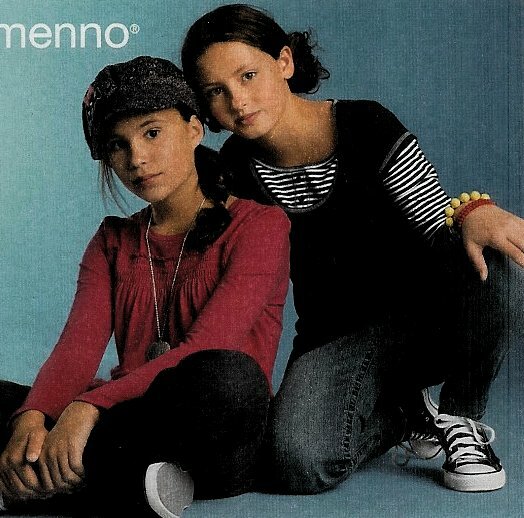 19 Chucks Worn By Pre-Teen Boys and Girls in Ads Girl wearing black chucks. 20 Chucks Worn By Pre-Teen Boys and Girls in Ads Boys wearing black chucks and teen girl wearing navy and Carolina blue 2-tone chucks. 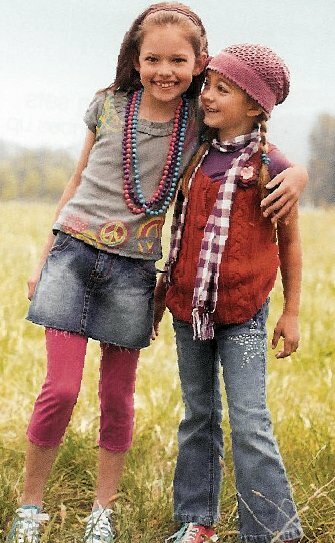 21 Chucks Worn By Pre-Teen Boys and Girls in Ads Girls wearing red bandana foldover high tops, and pine green low cut chucks. 22 Chucks Worn By Pre-Teen Boys and Girls in Ads Boy wearing distressed black high tops and girl wearing club print low cuts. 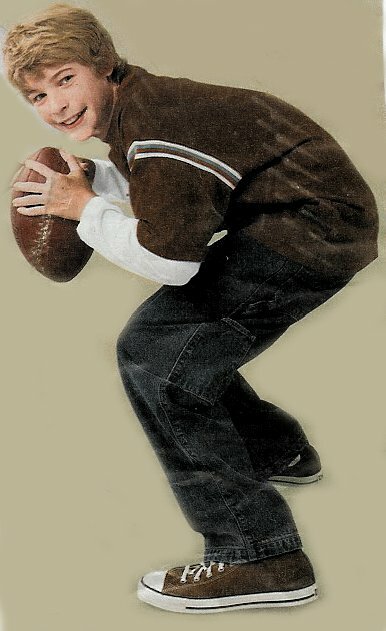 23 Chucks Worn By Pre-Teen Boys and Girls in Ads Preteen boy wearing chocolate brown high tops. 25 Chucks Worn By Pre-Teen Boys and Girls in Ads Girl wearing green and pink foldover high top chucks and boy wearing black high top chucks. 26 Chucks Worn By Pre-Teen Boys and Girls in Ads Boy wearing black high top chucks. 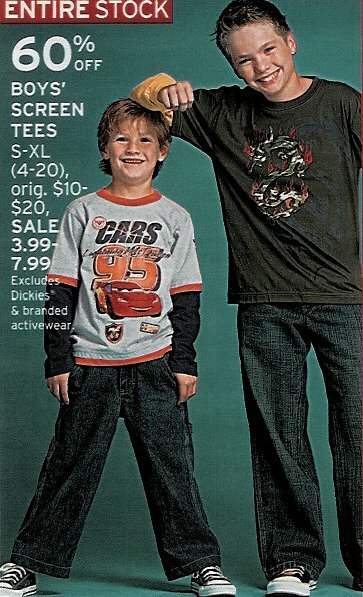 27 Chucks Worn By Pre-Teen Boys and Girls in Ads Boy wearing black chucks. 28 Chucks Worn By Pre-Teen Boys and Girls in Ads Girls wearing black and pink foldover high tops and boys wearing black high top and low cut chucks. 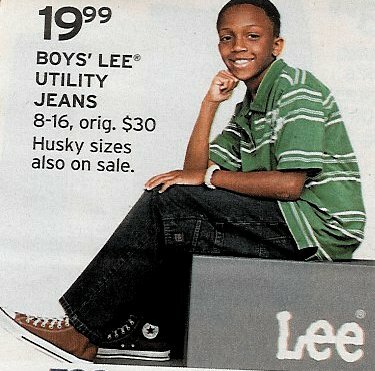 29 Chucks Worn By Pre-Teen Boys and Girls in Ads Boy wearing navy blue chucks. 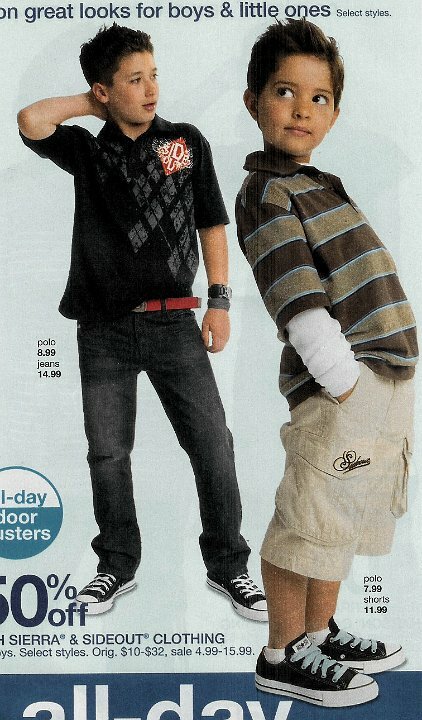 30 Chucks Worn By Pre-Teen Boys and Girls in Ads Boy wearing black tattoo high tops and teen wearing laser white and black high tops. 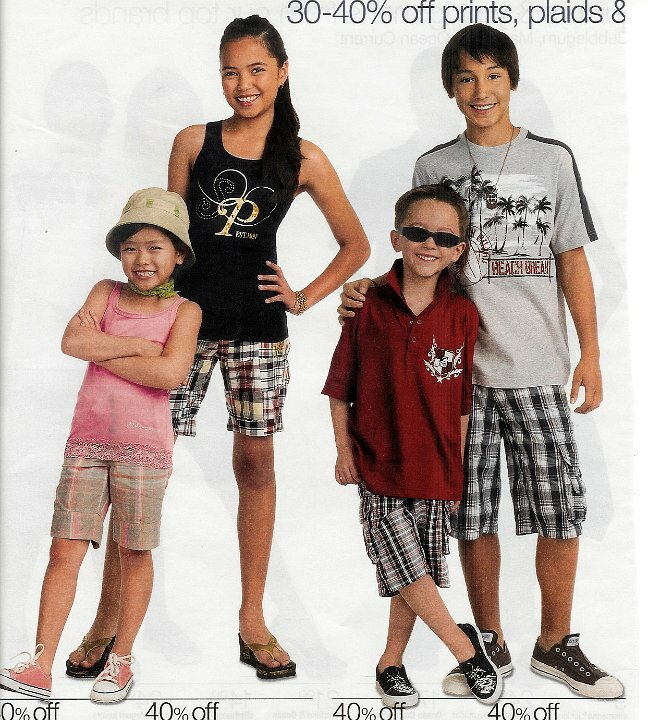 31 Chucks Worn By Pre-Teen Boys and Girls in Ads Girl wearing green chucks and boy wearing black chucks. 33 Chucks Worn By Pre-Teen Boys and Girls in Ads Boy wearing black high tops and girl wearing black and Carolina blue 2-tone chucks. 34 Chucks Worn By Pre-Teen Boys and Girls in Ads Boy wearing black high top chucks. 35 Chucks Worn By Pre-Teen Boys and Girls in Ads Preteen girls wearing metallic gold and violet low cuts. 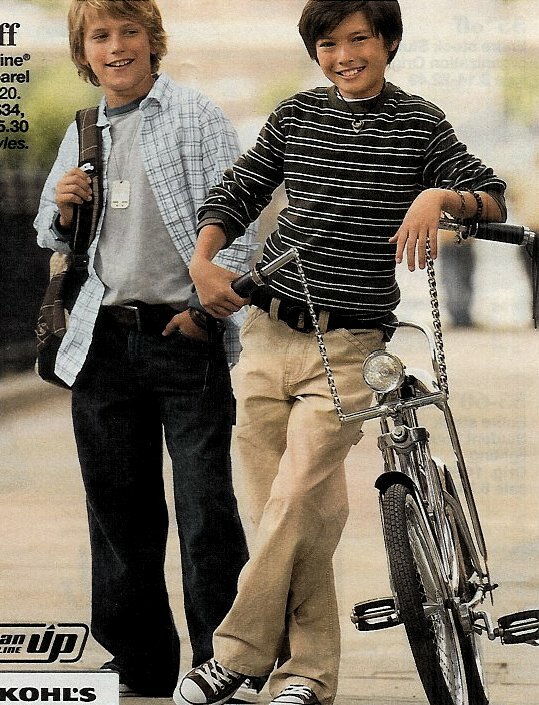 36 Chucks Worn By Pre-Teen Boys and Girls in Ads Preteens wearing black chucks. 37 Chucks Worn By Pre-Teen Boys and Girls in Ads Preteen girl wearing raspberry high top chucks. 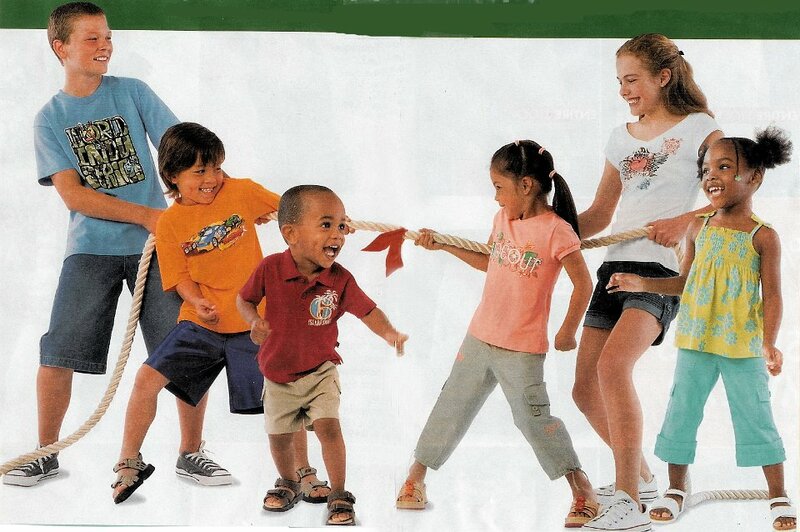 38 Chucks Worn By Pre-Teen Boys and Girls in Ads Tug of war between preteen boy in charcoal low cuts and preteen girl in optical white low cuts. 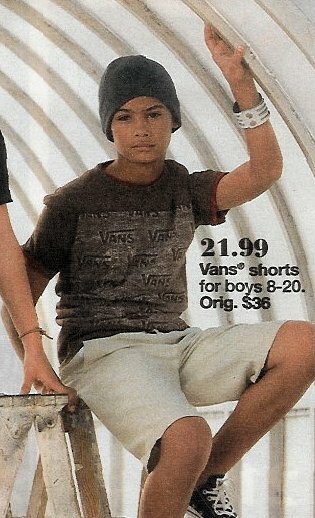 39 Chucks Worn By Pre-Teen Boys and Girls in Ads Twelve year old wearing black chucks. 40 Chucks Worn By Pre-Teen Boys and Girls in Ads Boy wearing black and blue 2 tone high tops and younger boy wearing black high top chucks. 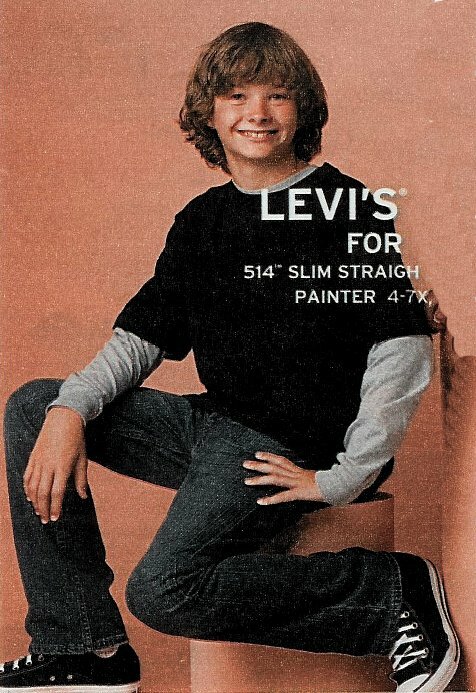 41 Chucks Worn By Pre-Teen Boys and Girls in Ads Girls wearing chucks. 42 Chucks Worn By Pre-Teen Boys and Girls in Ads Boy wearing black chucks. 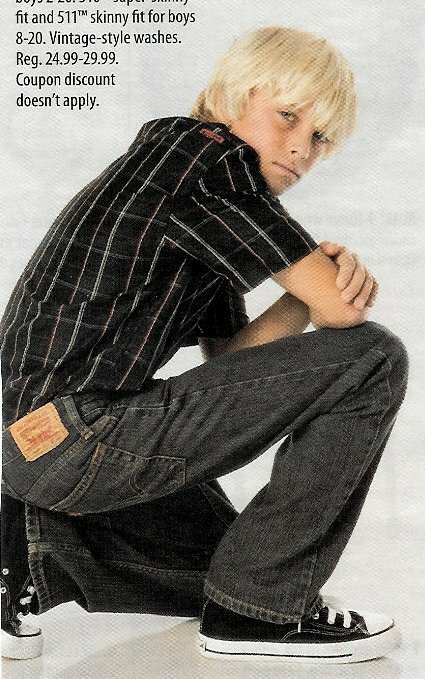 43 Chucks Worn By Pre-Teen Boys and Girls in Ads Boy wearing bamboo green low cut chucks. 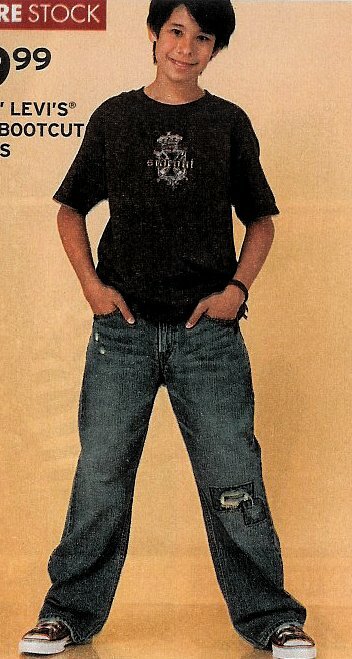 44 Chucks Worn By Pre-Teen Boys and Girls in Ads Preteen boy wearing black chucks. 45 Chucks Worn By Pre-Teen Boys and Girls in Ads Boy wearing yellow chucks. 46 Chucks Worn By Pre-Teen Boys and Girls in Ads Boy wearing black high top chucks. 47 Chucks Worn By Pre-Teen Boys and Girls in Ads Boy wearing brown and black high top chucks. 48 Chucks Worn By Pre-Teen Boys and Girls in Ads Boy wearing black low cut chucks. 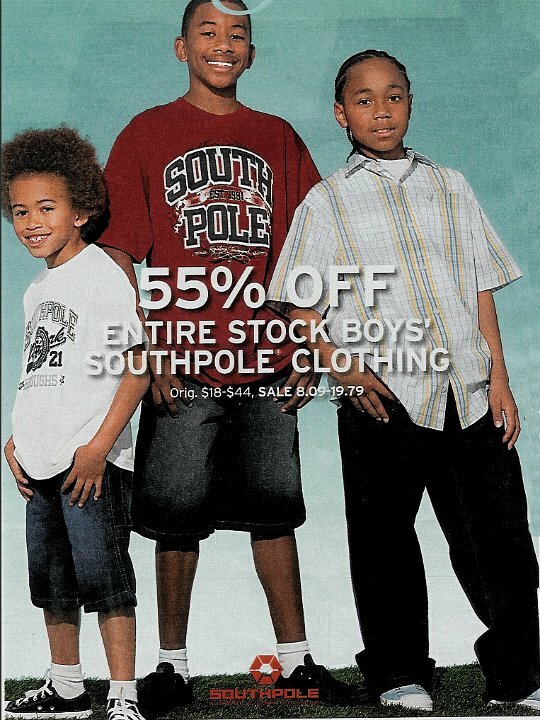 49 Chucks Worn By Pre-Teen Boys and Girls in Ads Girl wearing black chucks. 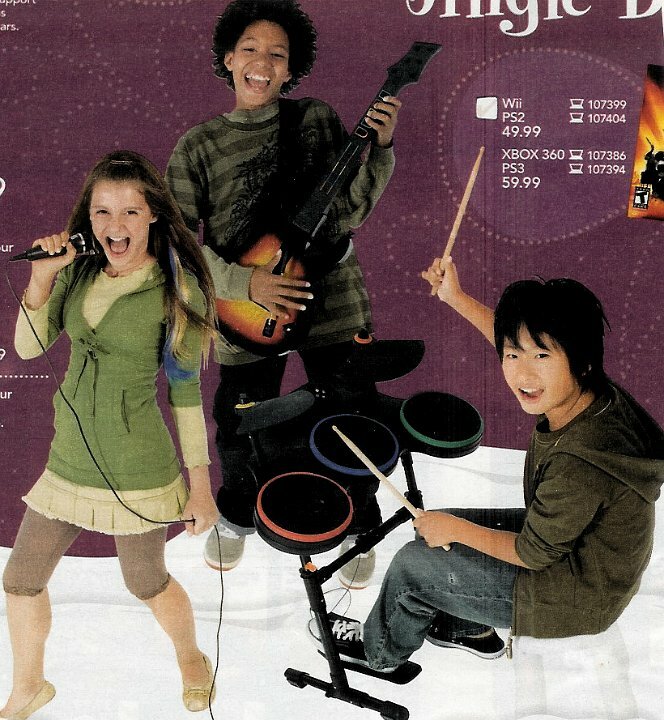 50 Chucks Worn By Pre-Teen Boys and Girls in Ads Girl wearing green chucks. 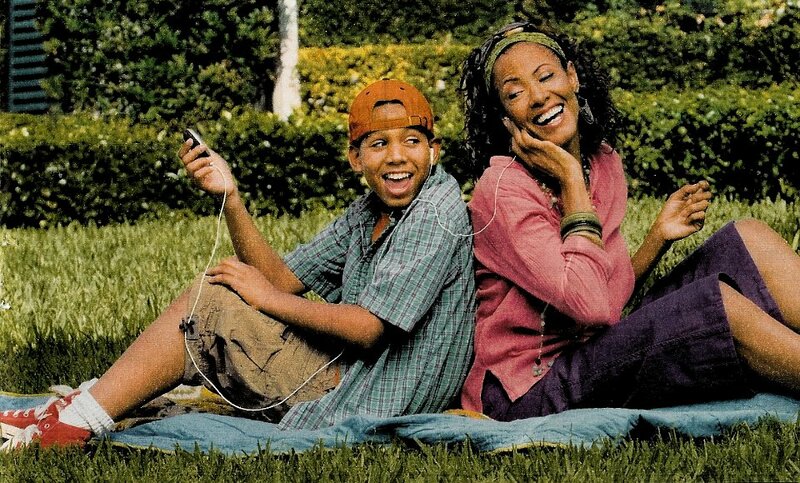 51 Chucks Worn By Pre-Teen Boys and Girls in Ads Boys wearing black chucks. 52 Chucks Worn By Pre-Teen Boys and Girls in Ads Boy wearing red high top chucks. 53 Chucks Worn By Pre-Teen Boys and Girls in Ads Twelve year old girl wearing brown and pink 2 tone high tops and younger girl wearing red high tops. 54 Chucks Worn By Pre-Teen Boys and Girls in Ads Eleven year old boy wearing black high top chucks. 55 Chucks Worn By Pre-Teen Boys and Girls in Ads Girl wearing hibiscus red low cut chucks. 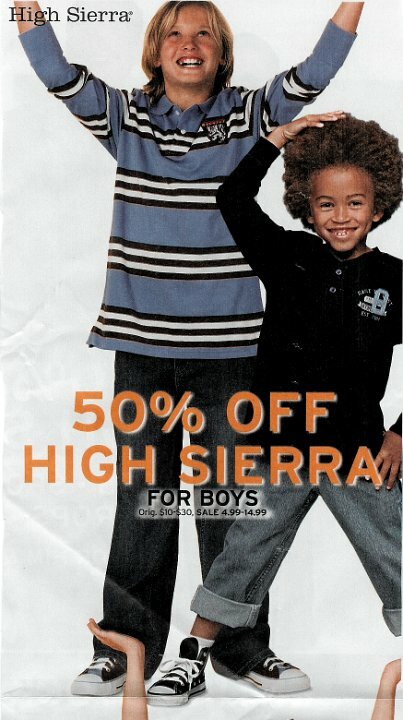 56 Chucks Worn By Pre-Teen Boys and Girls in Ads Girl wearing black chucks. 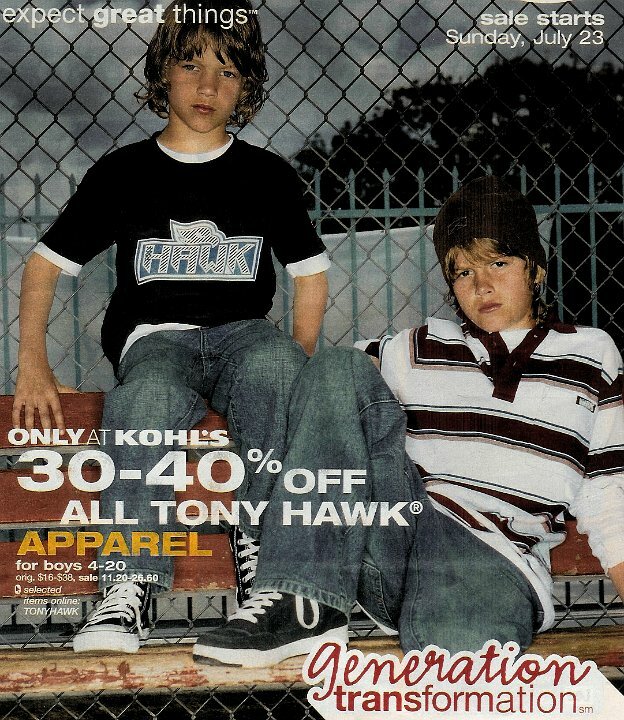 57 Chucks Worn By Pre-Teen Boys and Girls in Ads Boy with skateboard wearing black chucks. 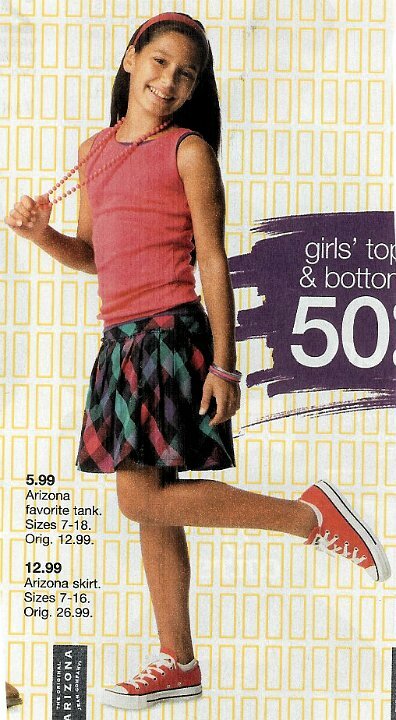 58 Chucks Worn By Pre-Teen Boys and Girls in Ads Girl wearing pink chucks. 59 Chucks Worn By Pre-Teen Boys and Girls in Ads Girl wearing black and green foldover chucks. 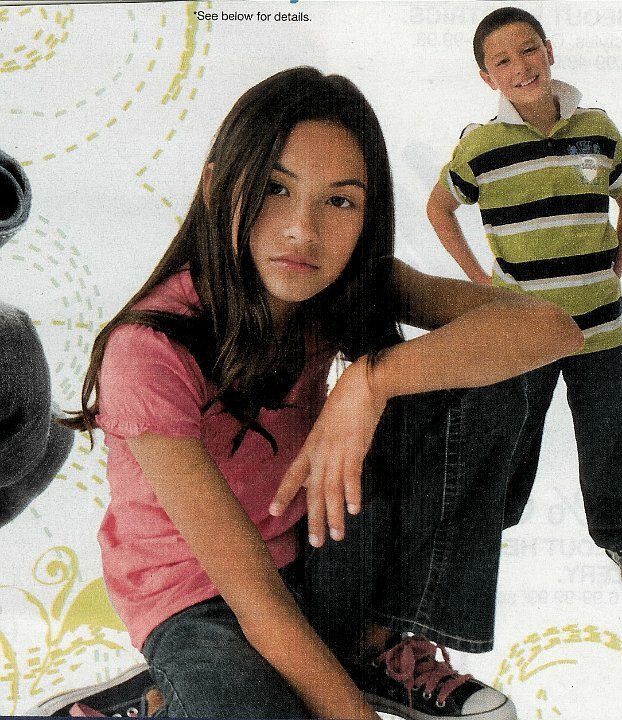 60 Chucks Worn By Pre-Teen Boys and Girls in Ads Girl wearing black and pink chucks. 61 Chucks Worn By Pre-Teen Boys and Girls in Ads Boy wearing black chucks. 62 Chucks Worn By Pre-Teen Boys and Girls in Ads Boy wearing black chucks. 63 Chucks Worn By Pre-Teen Boys and Girls in Ads Boy wearing black low cut chucks. 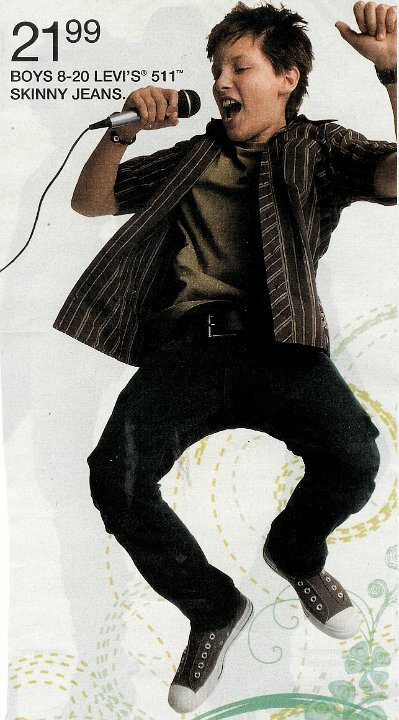 64 Chucks Worn By Pre-Teen Boys and Girls in Ads Boys wearing black chucks. 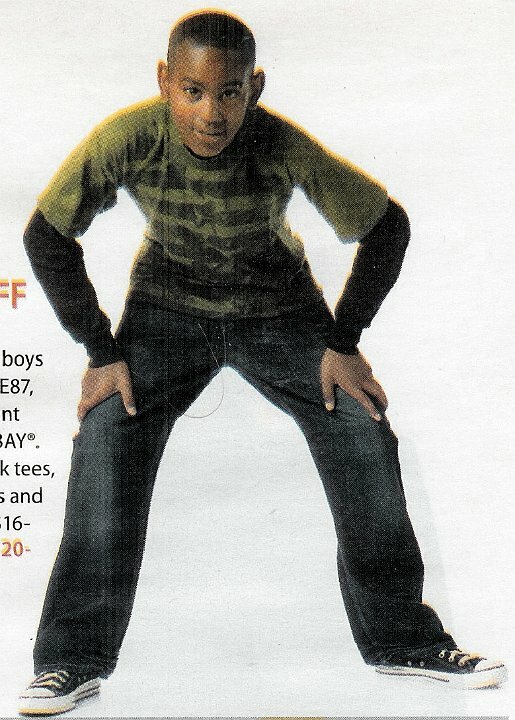 65 Chucks Worn By Pre-Teen Boys and Girls in Ads Boy wearing black slip on chucks. 66 Chucks Worn By Pre-Teen Boys and Girls in Ads Girl wearing black low cut chucks. 67 Chucks Worn By Pre-Teen Boys and Girls in Ads Young boy wearing black chucks with young girls wearing optical white and pink chucks. 68 Chucks Worn By Pre-Teen Boys and Girls in Ads Girl wearing light blue slip on chucks. 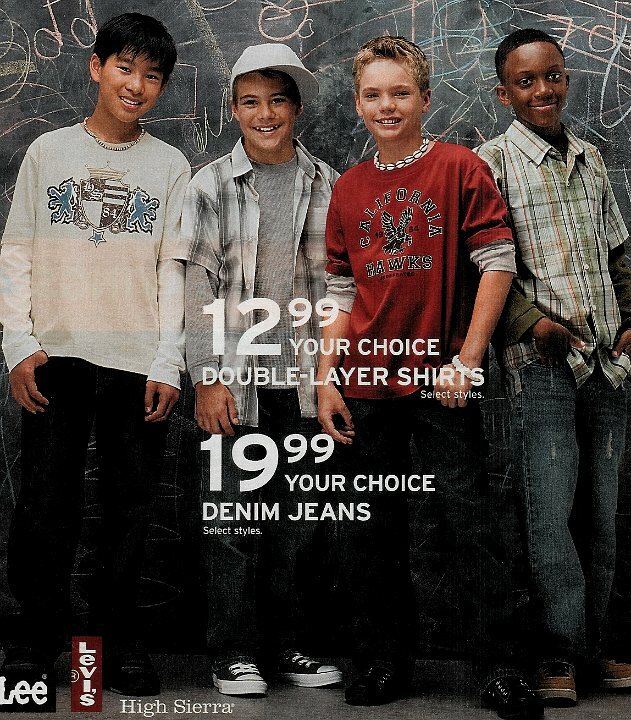 70 Chucks Worn By Pre-Teen Boys and Girls in Ads Girl wearing charcoal chucks and boy wearing red chucks. 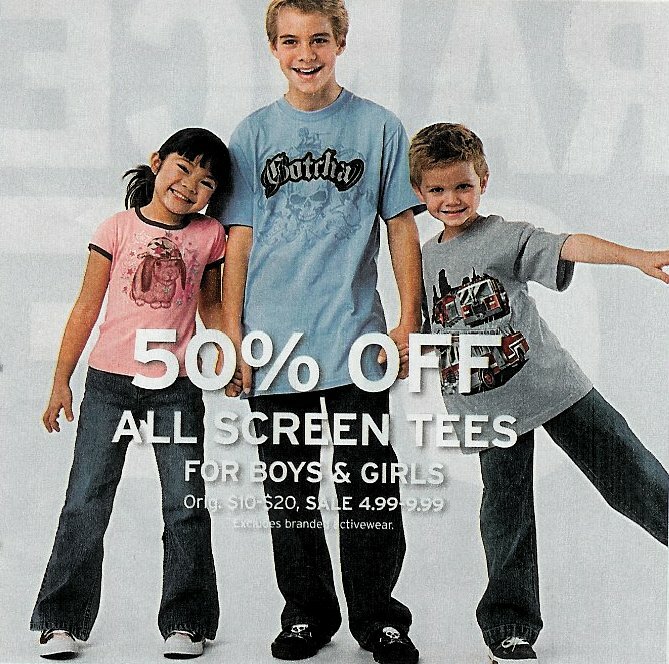 71 Chucks Worn By Pre-Teen Boys and Girls in Ads Girl wearing brown chucks. 72 Chucks Worn By Pre-Teen Boys and Girls in Ads Girl wearing black high top chucks with black laces. 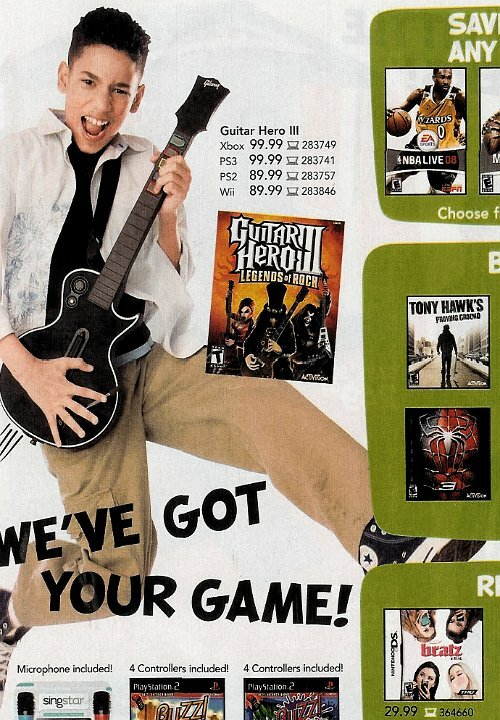 74 Chucks Worn By Pre-Teen Boys and Girls in Ads Boy playing guitar wearing navy chucks. 75 Chucks Worn By Pre-Teen Boys and Girls in Ads Young girl wearing black and pink 2-tone chucks with older boy wearing Jackass slip-on chucks. 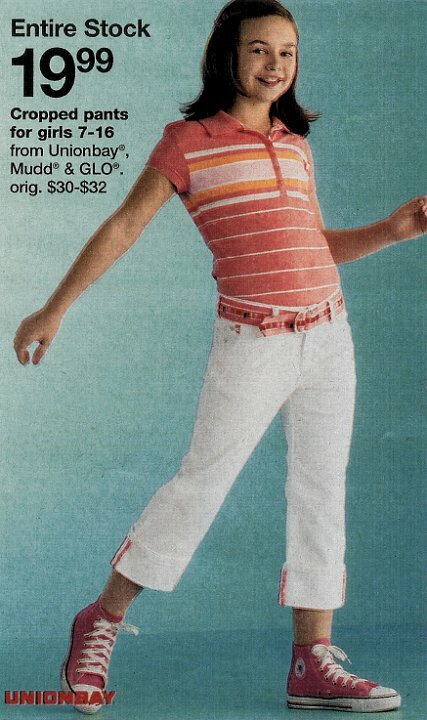 76 Chucks Worn By Pre-Teen Boys and Girls in Ads Girl wearing pink low cut chucks. 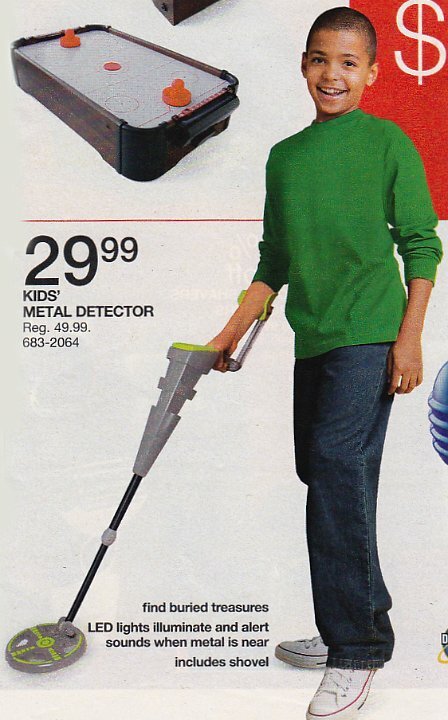 77 Chucks Worn By Pre-Teen Boys and Girls in Ads Girl wearing green low cut chucks. 78 Chucks Worn By Pre-Teen Boys and Girls in Ads Girl wearing chocolate and Carolina blue 2 tone low cut chucks along with girl wearing black slip-ons. 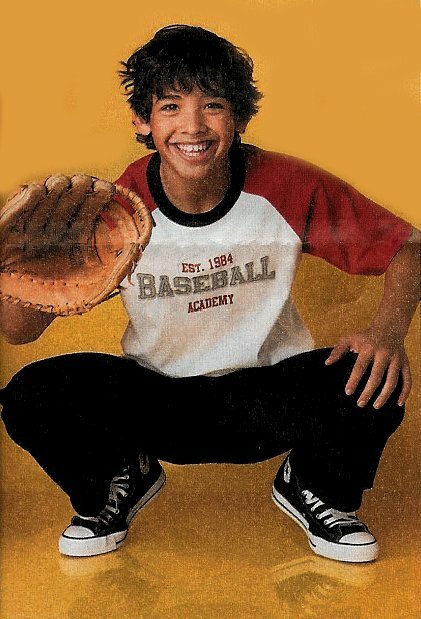 79 Chucks Worn By Pre-Teen Boys and Girls in Ads Boys wearing black high top and low cut chucks. 80 Chucks Worn By Pre-Teen Boys and Girls in Ads Boy with skateboard wearing black high top chucks. 82 Chucks Worn By Pre-Teen Boys and Girls in Ads Boy wearing black low cut chucks. 83 Chucks Worn By Pre-Teen Boys and Girls in Ads Boys wearing black, black monochrome, and light blue low cut chucks. 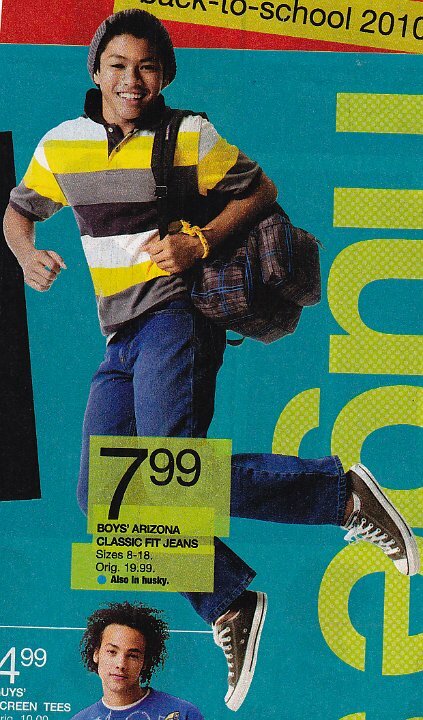 84 Chucks Worn By Pre-Teen Boys and Girls in Ads Boys wearing dark blue low cut chucks. 85 Chucks Worn By Pre-Teen Boys and Girls in Ads Girl wearing pink low cut chucks. 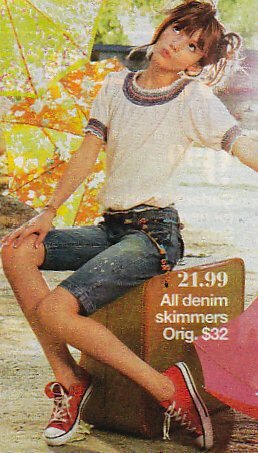 86 Chucks Worn By Pre-Teen Boys and Girls in Ads Girl wearing pink low cut chucks. 87 Chucks Worn By Pre-Teen Boys and Girls in Ads Boy wearing black high top chucks. 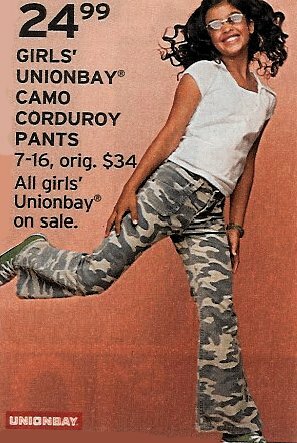 88 Chucks Worn By Pre-Teen Boys and Girls in Ads Girl wearing black high top chucks. 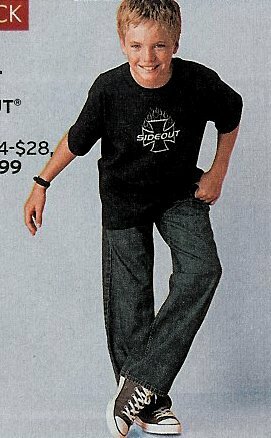 91 Chucks Worn By Pre-Teen Boys and Girls in Ads Boys wearing black high top chucks. 92 Chucks Worn By Pre-Teen Boys and Girls in Ads Boy wearing chocolate brown low cut chucks. 93 Chucks Worn By Pre-Teen Boys and Girls in Ads Girl wearing low cut picante red chucks. 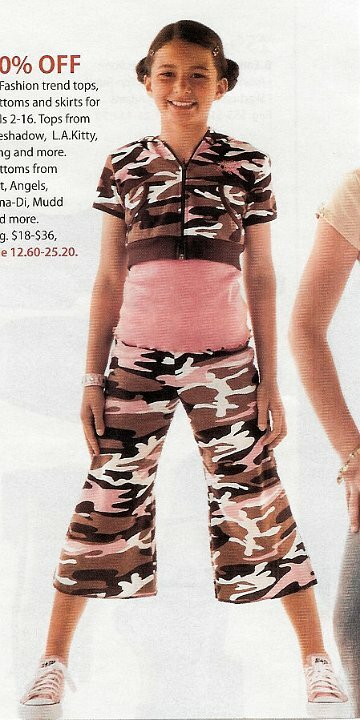 94 Chucks Worn By Pre-Teen Boys and Girls in Ads Girl wearing pink low cut chucks. 95 Chucks Worn By Pre-Teen Boys and Girls in Ads Boys wearing black and brown low cut chucks. 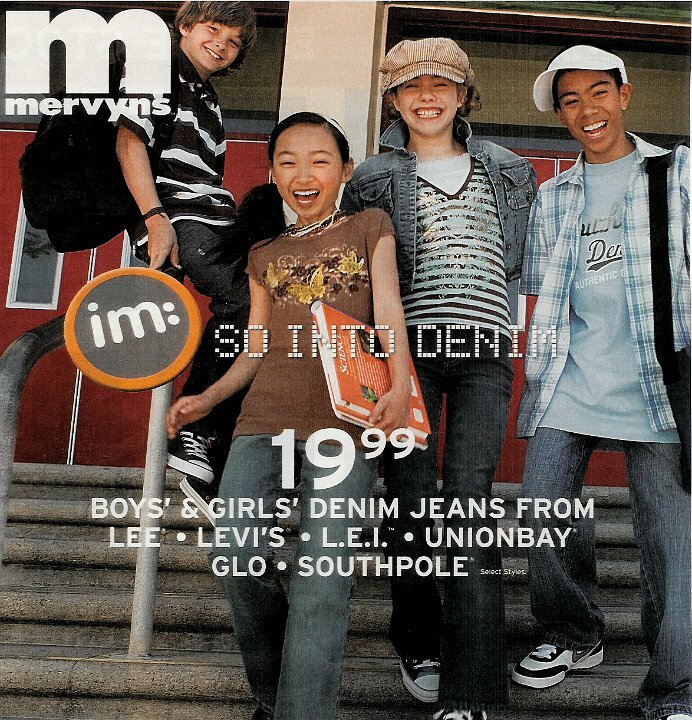 96 Chucks Worn By Pre-Teen Boys and Girls in Ads Girl wearing plaid low cut chucks. 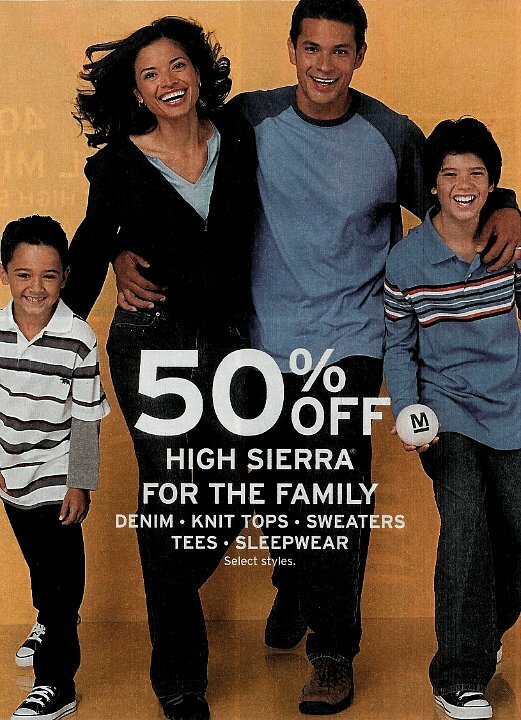 97 Chucks Worn By Pre-Teen Boys and Girls in Ads Girl wearing black low cut chucks. 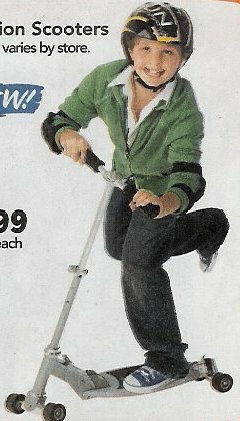 98 Chucks Worn By Pre-Teen Boys and Girls in Ads Girl wearing jade green low cut chucks. 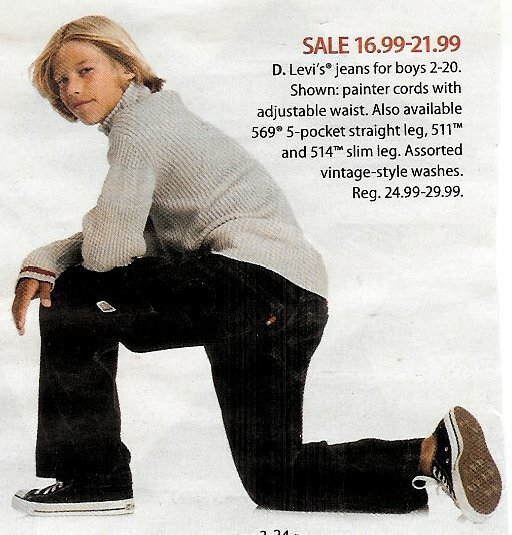 99 Chucks Worn By Pre-Teen Boys and Girls in Ads Boy wearing black chucks. 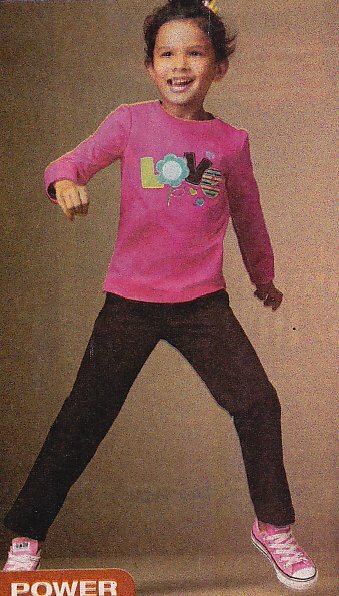 100 Chucks Worn By Pre-Teen Boys and Girls in Ads Girl wearing chocolate brown and pink 2-tone high tops and boy wearing black John Lennon peace high tops. 101 Chucks Worn By Pre-Teen Boys and Girls in Ads Boy wearing black chucks. 102 Chucks Worn By Pre-Teen Boys and Girls in Ads Boy wearing black chucks. 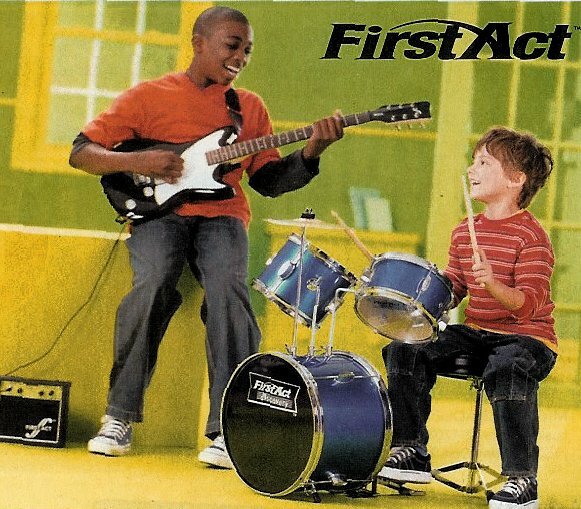 104 Chucks Worn By Pre-Teen Boys and Girls in Ads Playing the guitar in black high tops, shot 1. 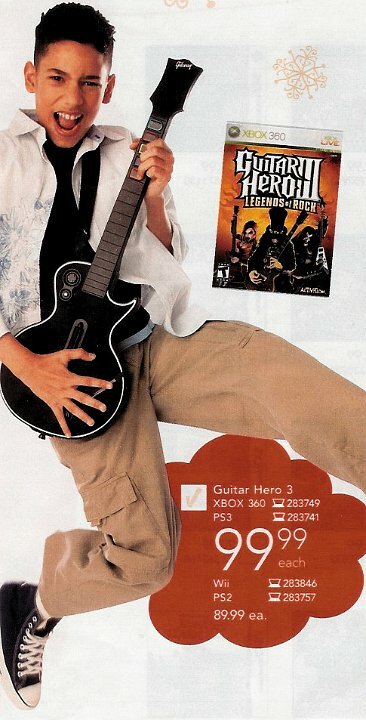 105 Chucks Worn By Pre-Teen Boys and Girls in Ads Playing the guitar in black high tops, shot 2. 106 Chucks Worn By Pre-Teen Boys and Girls in Ads Boy wearing black chucks. 107 Chucks Worn By Pre-Teen Boys and Girls in Ads Boy wearing black slipon chucks. 108 Chucks Worn By Pre-Teen Boys and Girls in Ads Boy wearing black chucks. 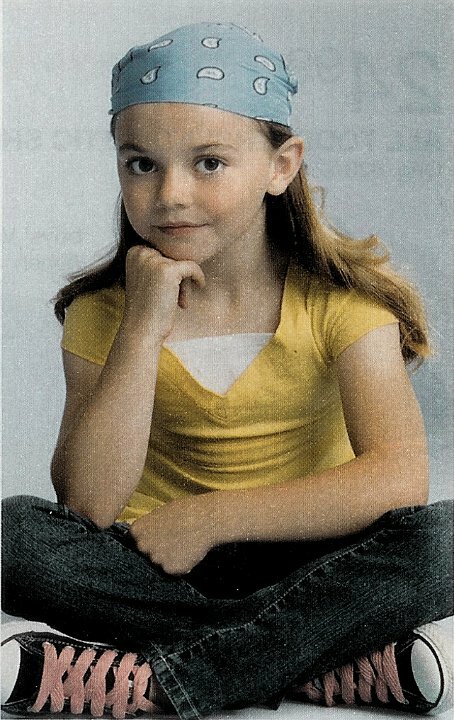 109 Chucks Worn By Pre-Teen Boys and Girls in Ads Girl wearing yellow high tops with boy wearing navy chucks. 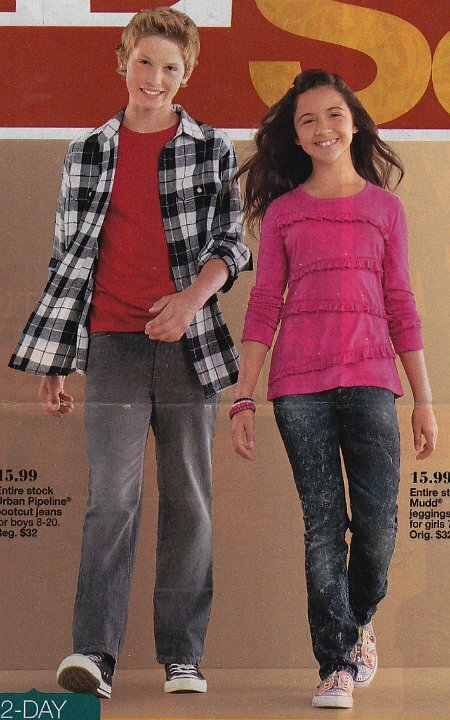 110 Chucks Worn By Pre-Teen Boys and Girls in Ads Girl wearing pink chucks. 111 Chucks Worn By Pre-Teen Boys and Girls in Ads Boy wearing black low cut chucks. 112 Chucks Worn By Pre-Teen Boys and Girls in Ads Kids wearing brown and monochrome chucks. 113 Chucks Worn By Pre-Teen Boys and Girls in Ads Girl wearing pink chucks. 114 Chucks Worn By Pre-Teen Boys and Girls in Ads Girl wearing print chucks. 115 Chucks Worn By Pre-Teen Boys and Girls in Ads Kids wearing pink low cut and black slipon chucks. 116 Chucks Worn By Pre-Teen Boys and Girls in Ads Boy wearing black low cut chucks. 117 Chucks Worn By Pre-Teen Boys and Girls in Ads Boys wearing black low cut chucks. 118 Chucks Worn By Pre-Teen Boys and Girls in Ads Boys wearing black chucks. 119 Chucks Worn By Pre-Teen Boys and Girls in Ads Boy wearing black chucks. 120 Chucks Worn By Pre-Teen Boys and Girls in Ads Girls wearing black print and pink low cut chucks. 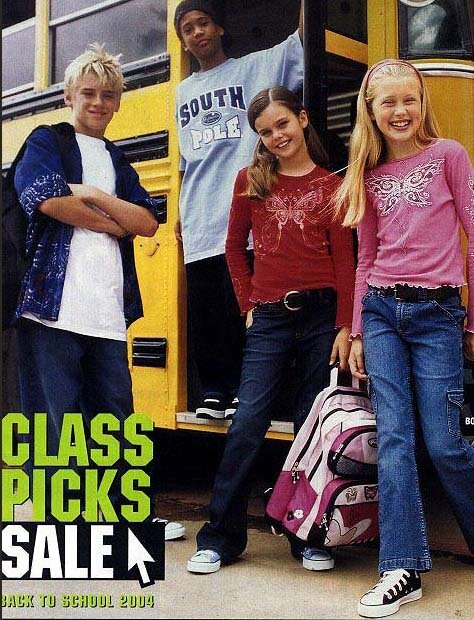 121 Chucks Worn By Pre-Teen Boys and Girls in Ads Girl wearing black low cut chucks. 122 Chucks Worn By Pre-Teen Boys and Girls in Ads Boy wearing black chucks. 127 Chucks Worn By Pre-Teen Boys and Girls in Ads Boy with black chucks. 128 Chucks Worn By Pre-Teen Boys and Girls in Ads Girl with black chucks. 129 Chucks Worn By Pre-Teen Boys and Girls in Ads Preteen girl with pink low cut chucks. 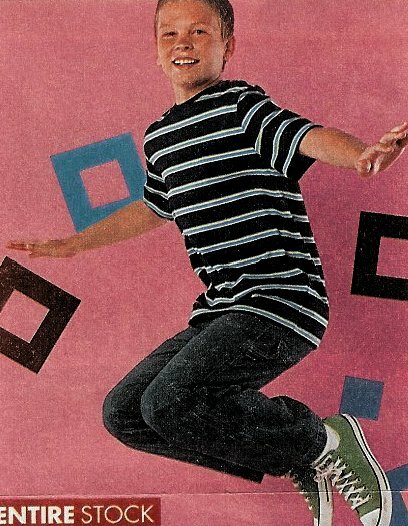 130 Chucks Worn By Pre-Teen Boys and Girls in Ads Well dressed boy with black high top chucks. 131 Chucks Worn By Pre-Teen Boys and Girls in Ads Soccer playing boy with charcoal grey low cut chucks. 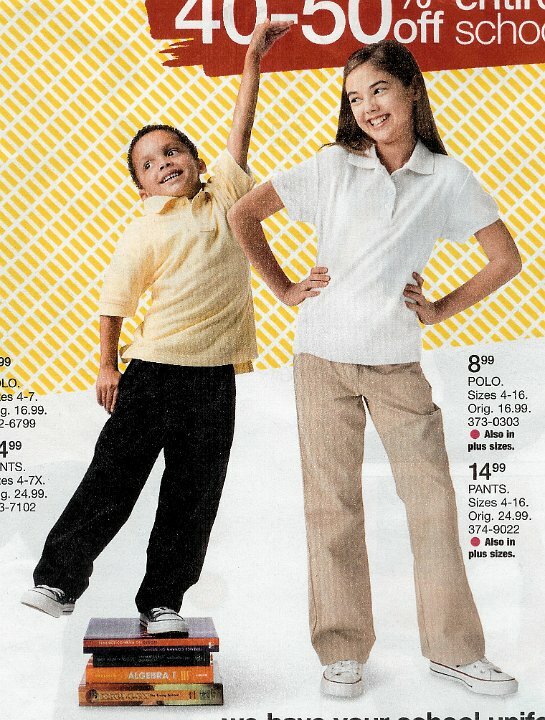 132 Chucks Worn By Pre-Teen Boys and Girls in Ads Rocking preteen with black slipon chucks. 133 Chucks Worn By Pre-Teen Boys and Girls in Ads Girl wearing black low cut chucks. 134 Chucks Worn By Pre-Teen Boys and Girls in Ads Girl wearing black chucks. 135 Chucks Worn By Pre-Teen Boys and Girls in Ads Girl wearing pink chucks. 136 Chucks Worn By Pre-Teen Boys and Girls in Ads Preteen boy wearing black chucks. 137 Chucks Worn By Pre-Teen Boys and Girls in Ads Boy wearing grey low cut chucks. 138 Chucks Worn By Pre-Teen Boys and Girls in Ads Boy wearing red chucks. 139 Chucks Worn By Pre-Teen Boys and Girls in Ads Preteen boy wearing black high top chucks. 140 Chucks Worn By Pre-Teen Boys and Girls in Ads Girl wearing pink low cut chucks. 141 Chucks Worn By Pre-Teen Boys and Girls in Ads Boy wearing black chucks with wide red laces. 142 Chucks Worn By Pre-Teen Boys and Girls in Ads Girls wearing black chucks. 143 Chucks Worn By Pre-Teen Boys and Girls in Ads Boys wearing black and brown chucks. 144 Chucks Worn By Pre-Teen Boys and Girls in Ads Girl wearing black low cut chucks. 145 Chucks Worn By Pre-Teen Boys and Girls in Ads Girls wearing black chucks. 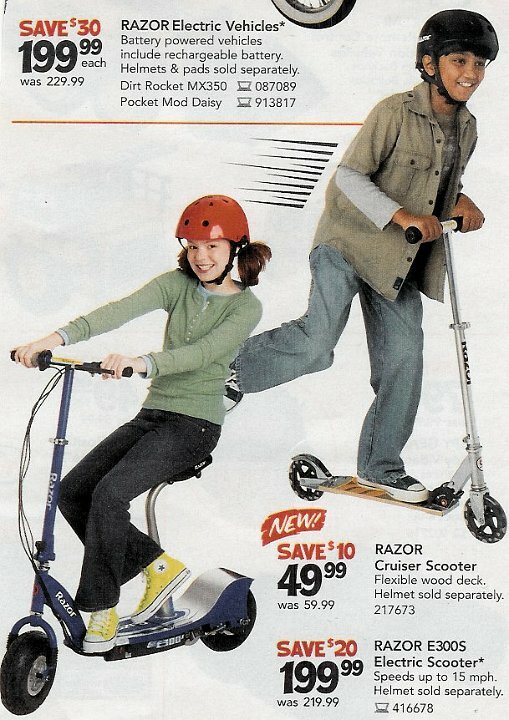 146 Chucks Worn By Pre-Teen Boys and Girls in Ads Boy on scooter wearing blue chucks. 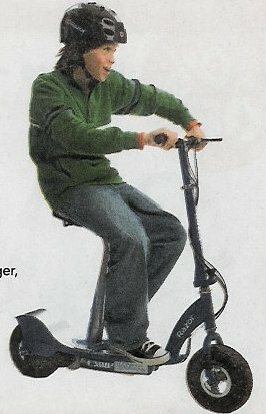 147 Chucks Worn By Pre-Teen Boys and Girls in Ads Boy on scooter wearing black chucks. 148 Chucks Worn By Pre-Teen Boys and Girls in Ads Boy wearing black chucks. 149 Chucks Worn By Pre-Teen Boys and Girls in Ads Girl wearing black and red chucks. 150 Chucks Worn By Pre-Teen Boys and Girls in Ads Boy wearing black chucks. 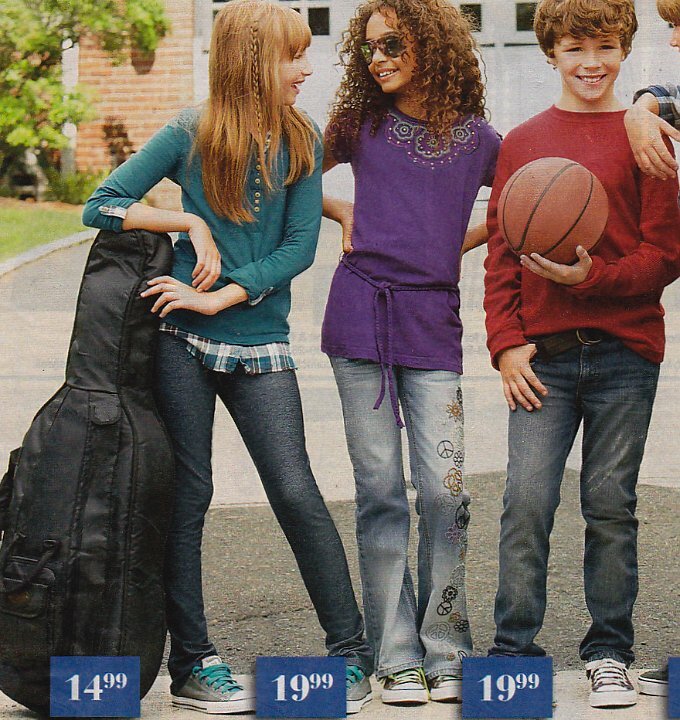 151 Chucks Worn By Pre-Teen Boys and Girls in Ads Family shot showing boy wearing purple chucks. 152 Chucks Worn By Pre-Teen Boys and Girls in Ads Preteen boy wearing black high top chucks. 154 Chucks Worn By Pre-Teen Boys and Girls in Ads Boy with optical white low cut chucks. 156 Chucks Worn By Pre-Teen Boys and Girls in Ads Boy with black low cut chucks. 157 Chucks Worn By Pre-Teen Boys and Girls in Ads Girl with rolled down pink high top chucks. 158 Chucks Worn By Pre-Teen Boys and Girls in Ads Boy with black high top chucks. 159 Chucks Worn By Pre-Teen Boys and Girls in Ads Boy with black chucks. 160 Chucks Worn By Pre-Teen Boys and Girls in Ads Boy with black high top chucks (logos are blanked out). 161 Chucks Worn By Pre-Teen Boys and Girls in Ads Boy wearing black low cut chucks. 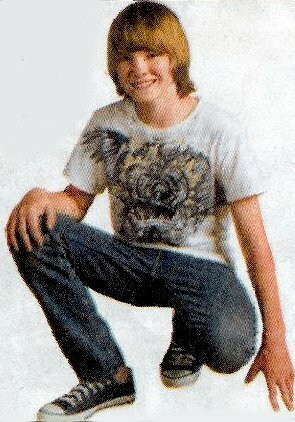 162 Chucks Worn By Pre-Teen Boys and Girls in Ads Boy with skateboard wearing low cut black chucks. 163 Chucks Worn By Pre-Teen Boys and Girls in Ads Girl wearing black low cut chucks. 164 Chucks Worn By Pre-Teen Boys and Girls in Ads Boy wearinig blue low cut chucks. 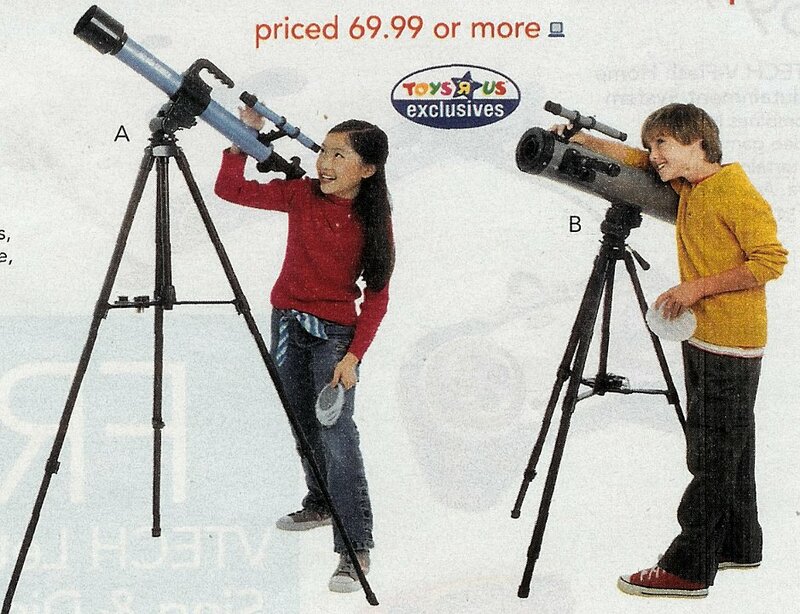 165 Chucks Worn By Pre-Teen Boys and Girls in Ads Girl wearinig optical white low cuts. 166 Chucks Worn By Pre-Teen Boys and Girls in Ads Boy wearing black high top chucks. 167 Chucks Worn By Pre-Teen Boys and Girls in Ads Boy wearing brown low cut chucks. 168 Chucks Worn By Pre-Teen Boys and Girls in Ads Girl wearing black chucks. 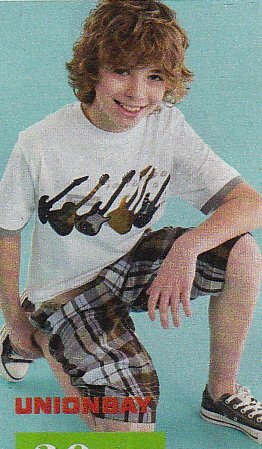 169 Chucks Worn By Pre-Teen Boys and Girls in Ads Boy wearing black chucks. 170 Chucks Worn By Pre-Teen Boys and Girls in Ads Girl wearing teal low cut chucks. 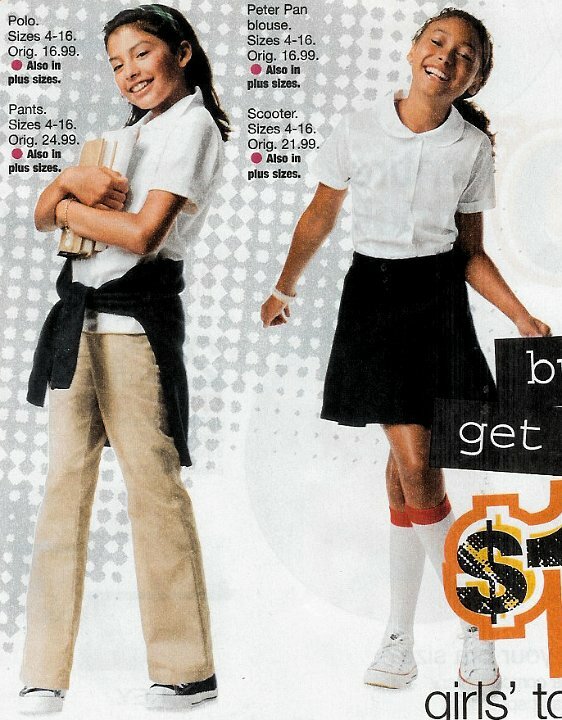 171 Chucks Worn By Pre-Teen Boys and Girls in Ads Girl wearing black chucks. 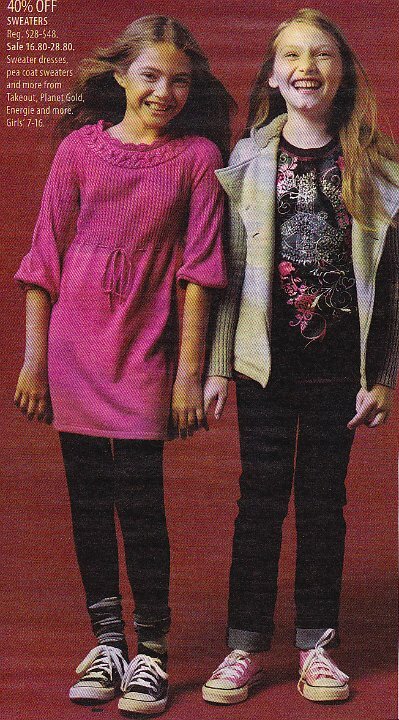 172 Chucks Worn By Pre-Teen Boys and Girls in Ads Boy and girl wearing black and pink chucks. 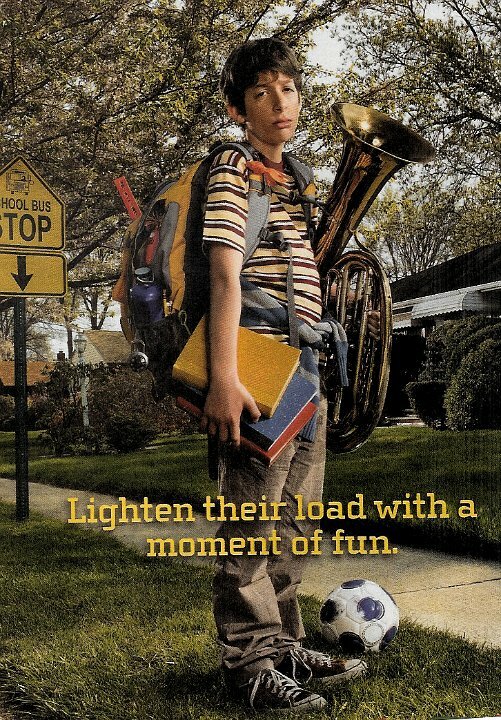 173 Chucks Worn By Pre-Teen Boys and Girls in Ads Ad of boy carrying various items and wearing black chucks. 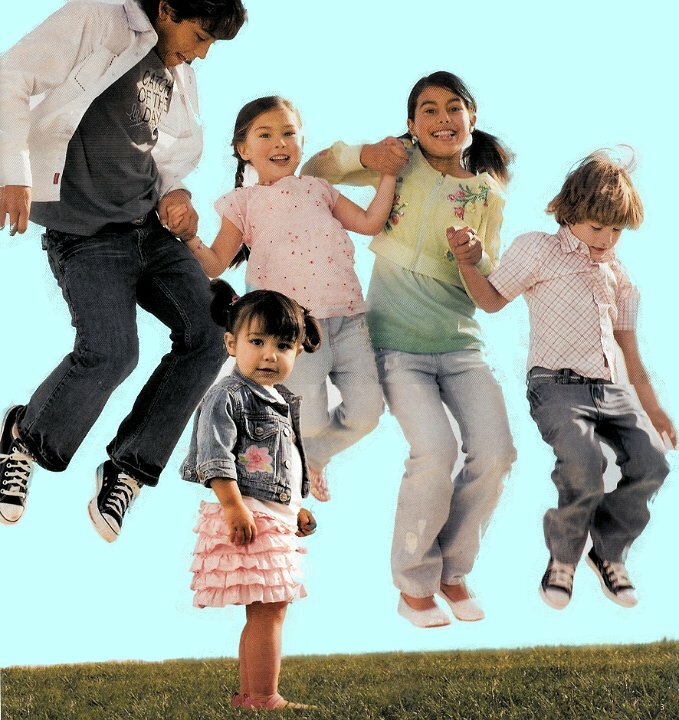 174 Chucks Worn By Pre-Teen Boys and Girls in Ads Ad with girl wearing white chucks. 176 Chucks Worn By Pre-Teen Boys and Girls in Ads Boy wearing navy blue chucks. 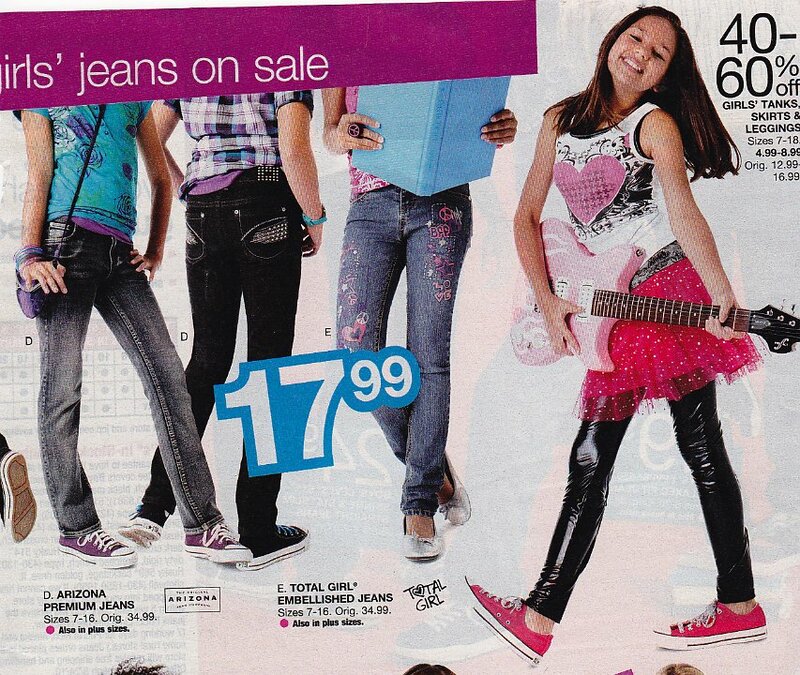 177 Chucks Worn By Pre-Teen Boys and Girls in Ads A girl wearing pink low cut chucks. 178 Chucks Worn By Pre-Teen Boys and Girls in Ads Girl wearing teal chucks. 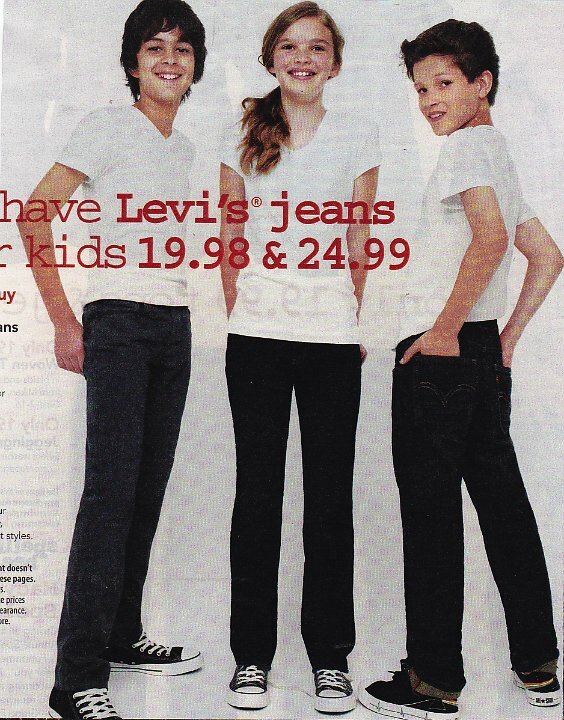 179 Chucks Worn By Pre-Teen Boys and Girls in Ads Girl wearing black low cut chucks. 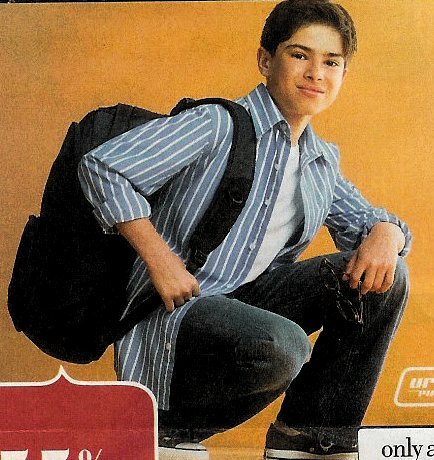 180 Chucks Worn By Pre-Teen Boys and Girls in Ads Boy with backpack wearing black chucks. 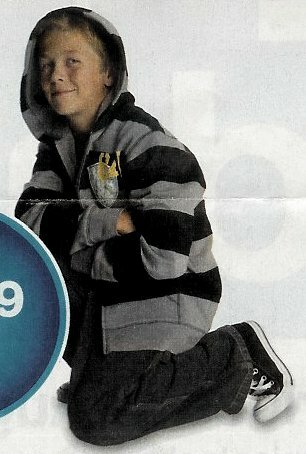 181 Chucks Worn By Pre-Teen Boys and Girls in Ads Ad with boys wearing navy blue and black chucks. 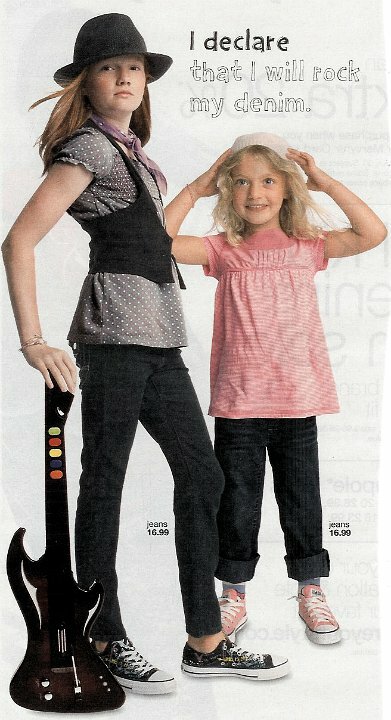 182 Chucks Worn By Pre-Teen Boys and Girls in Ads A girl wearing black chucks. 183 Chucks Worn By Pre-Teen Boys and Girls in Ads A boy wearing black chucks. 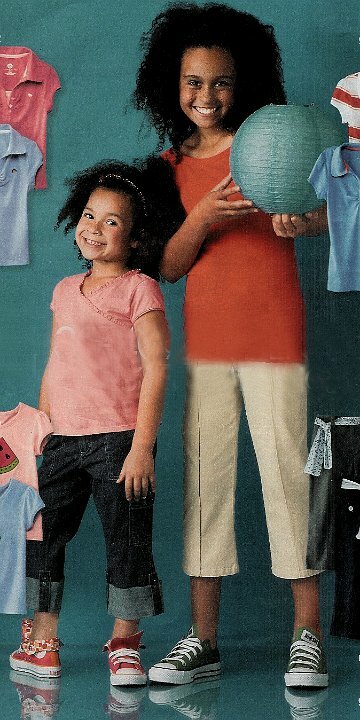 184 Chucks Worn By Pre-Teen Boys and Girls in Ads A boy and girl wearing black and optical white chucks. 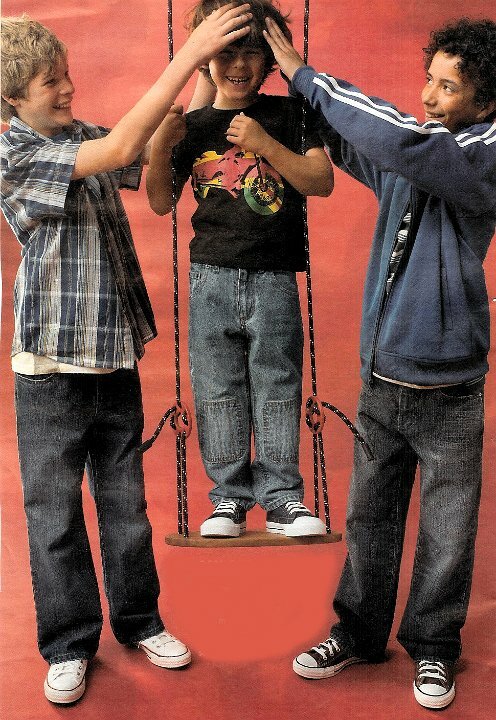 185 Chucks Worn By Pre-Teen Boys and Girls in Ads Ad with three preteens wearing black low cut, black extra high, and dark red chucks. 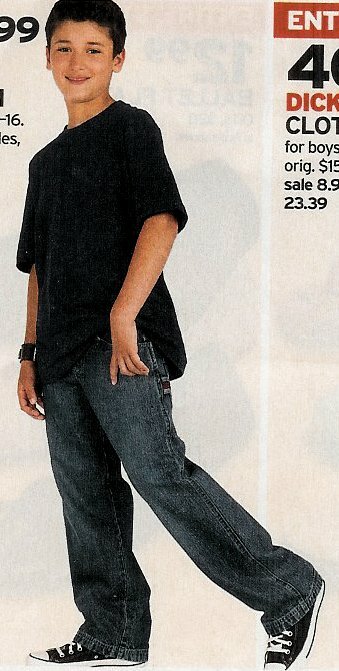 186 Chucks Worn By Pre-Teen Boys and Girls in Ads A boy wearing black high top chucks. 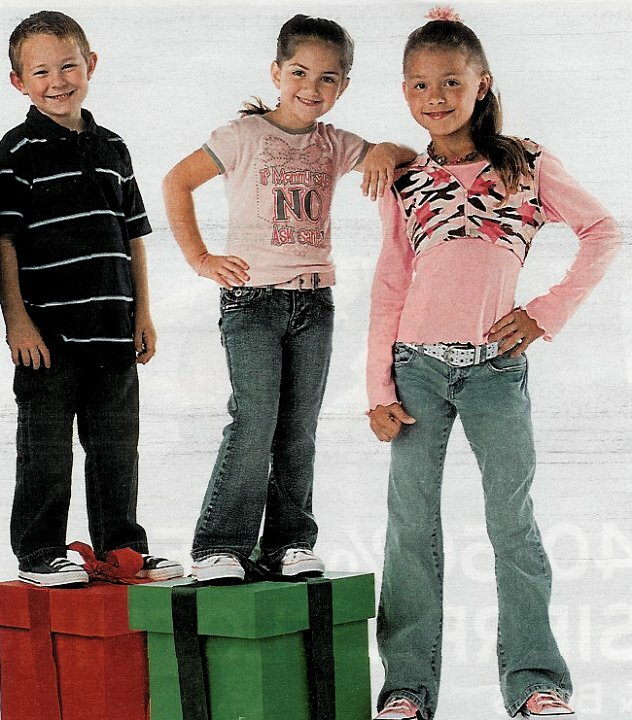 187 Chucks Worn By Pre-Teen Boys and Girls in Ads A girl wearing pink chucks. 188 Chucks Worn By Pre-Teen Boys and Girls in Ads A girl wearing black low cut chucks. 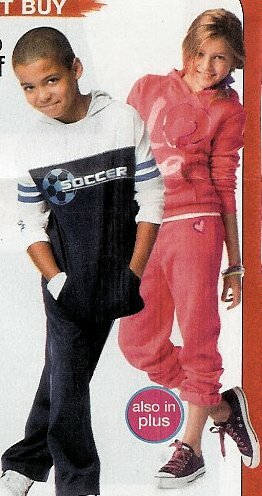 189 Chucks Worn By Pre-Teen Boys and Girls in Ads A girl wearing pink headphones and black high top chucks. 190 Chucks Worn By Pre-Teen Boys and Girls in Ads A boy carrying an over-the-shoulder bag and wearing white chucks. 191 Chucks Worn By Pre-Teen Boys and Girls in Ads Two girls wearig black and optical white chucks. 192 Chucks Worn By Pre-Teen Boys and Girls in Ads Two girls wearing black and metallic gold chucks. 193 Chucks Worn By Pre-Teen Boys and Girls in Ads A boy wearing black chucks. 194 Chucks Worn By Pre-Teen Boys and Girls in Ads A girl wearing teal chucks. 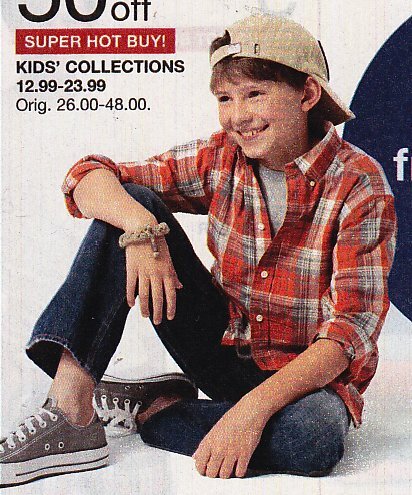 195 Chucks Worn By Pre-Teen Boys and Girls in Ads A girl holding a necklace and wearing red low cut chucks. 196 Chucks Worn By Pre-Teen Boys and Girls in Ads A boy holding a backpack and wearing optical white chucks. 197 Chucks Worn By Pre-Teen Boys and Girls in Ads A girl wearing black low cut chucks. 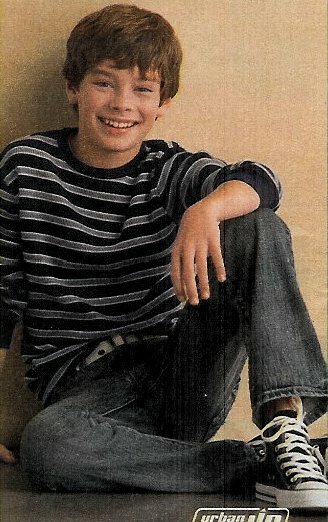 198 Chucks Worn By Pre-Teen Boys and Girls in Ads A boy holding a backpack and wearing charcoal grey chucks. 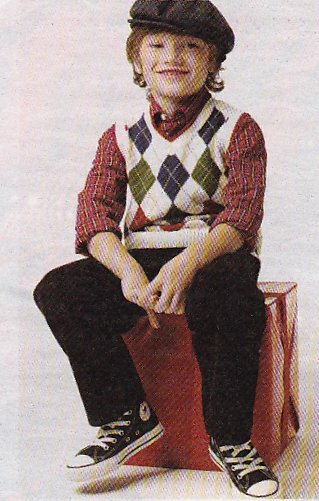 199 Chucks Worn By Pre-Teen Boys and Girls in Ads A girl sitting and wearing low cut cherry tomato red chucks. 200 Chucks Worn By Pre-Teen Boys and Girls in Ads Two girls wearing black and red chucks. 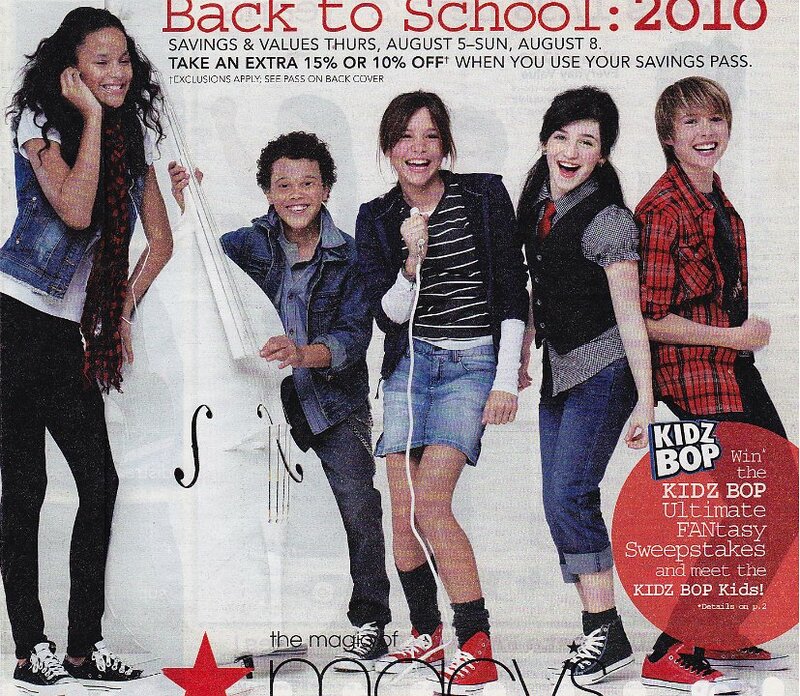 201 Chucks Worn By Pre-Teen Boys and Girls in Ads Girl wearinig black high top chucks and boy wearing brown low cuts. 202 Chucks Worn By Pre-Teen Boys and Girls in Ads Girl weariing black low cuts with neon pink laces. 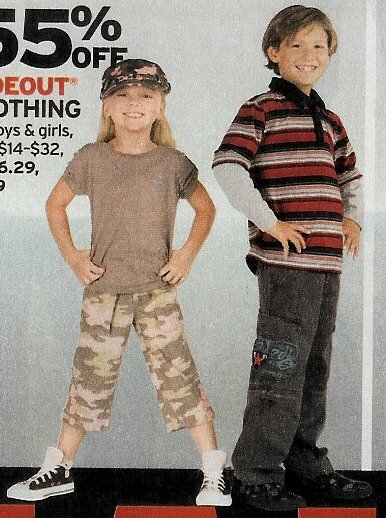 203 Chucks Worn By Pre-Teen Boys and Girls in Ads Boy and girl wearing optical white chucks. 204 Chucks Worn By Pre-Teen Boys and Girls in Ads Girl wearing black and pink 2-tone high top chucks. 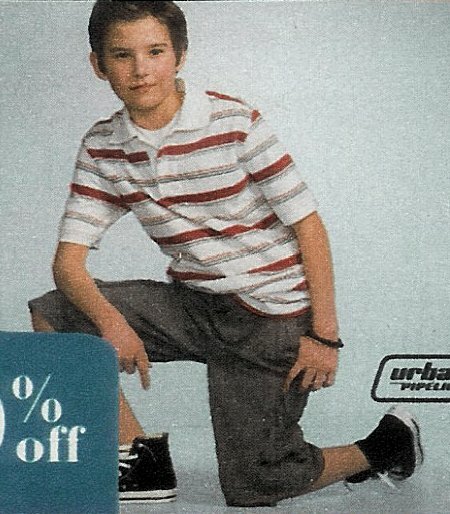 205 Chucks Worn By Pre-Teen Boys and Girls in Ads Boy wearinig black chucks. 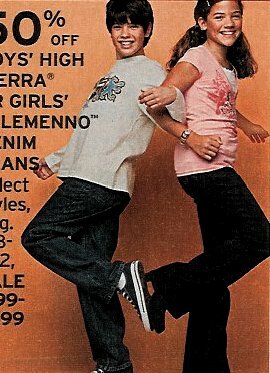 206 Chucks Worn By Pre-Teen Boys and Girls in Ads Boy and girl wearing black and purple chucks. 207 Chucks Worn By Pre-Teen Boys and Girls in Ads Boy weearing navy blue chucks. 208 Chucks Worn By Pre-Teen Boys and Girls in Ads Boy weaarinig navy blue chucks. 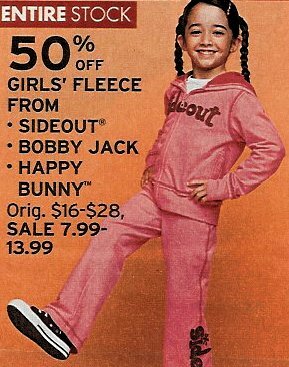 209 Chucks Worn By Pre-Teen Boys and Girls in Ads Girl wearing rolled down black and pink high top chucks. 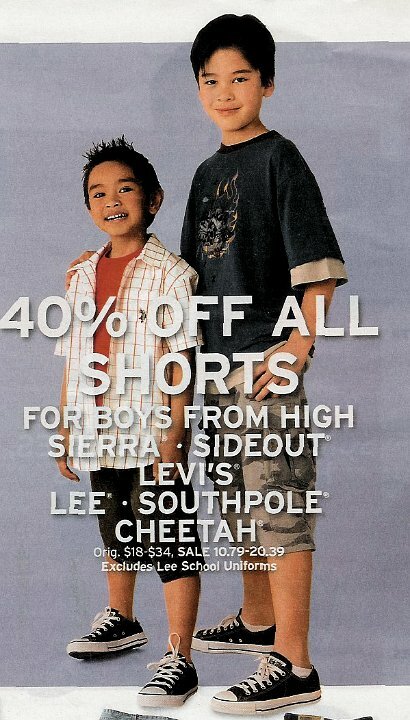 210 Chucks Worn By Pre-Teen Boys and Girls in Ads Boy and girl wearing black high top chucks. 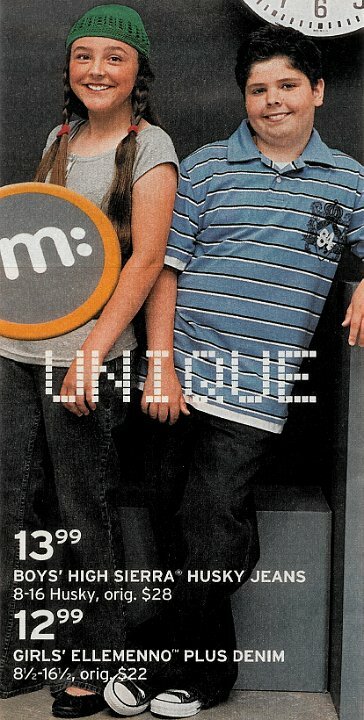 211 Chucks Worn By Pre-Teen Boys and Girls in Ads Girl wearing black chucks. 212 Chucks Worn By Pre-Teen Boys and Girls in Ads Teen girl weariing black chucks. 213 Chucks Worn By Pre-Teen Boys and Girls in Ads Teen wearing black low cut chucks. 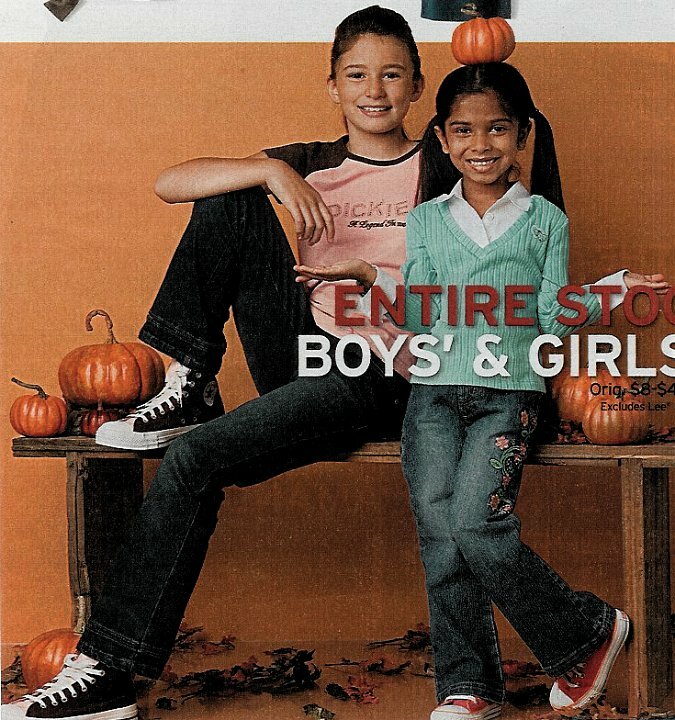 214 Chucks Worn By Pre-Teen Boys and Girls in Ads Girl wearing black chucks. 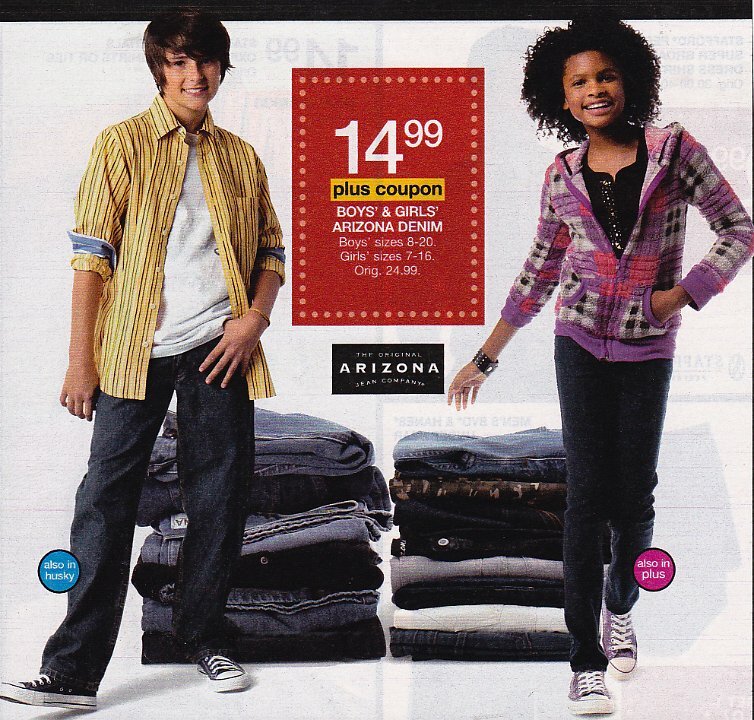 215 Chucks Worn By Pre-Teen Boys and Girls in Ads Girl wearing black chucks. 216 Chucks Worn By Pre-Teen Boys and Girls in Ads Girl wearing white chucks with neon lime laces. 217 Chucks Worn By Pre-Teen Boys and Girls in Ads Boys wearing black chucks. 218 Chucks Worn By Pre-Teen Boys and Girls in Ads Girls wearing rolled down 2-tone black and pink high tops an black high tops. 219 Chucks Worn By Pre-Teen Boys and Girls in Ads Boy wearing black chucks. 220 Chucks Worn By Pre-Teen Boys and Girls in Ads Girl wearing black chucks. 221 Chucks Worn By Pre-Teen Boys and Girls in Ads Boy wearing optical white chucks. 222 Chucks Worn By Pre-Teen Boys and Girls in Ads Boy wearing black chucks. 223 Chucks Worn By Pre-Teen Boys and Girls in Ads Boys wearing black chucks. 224 Chucks Worn By Pre-Teen Boys and Girls in Ads Boy wearing black chucks and girl wearing black high tops with neon pink laces. 225 Chucks Worn By Pre-Teen Boys and Girls in Ads Girl wearing red chucks with grey laces. 226 Chucks Worn By Pre-Teen Boys and Girls in Ads Boy wearing black chucks. 227 Chucks Worn By Pre-Teen Boys and Girls in Ads Boys wearing black chucks. 228 Chucks Worn By Pre-Teen Boys and Girls in Ads Girl wearing red low cuts with blue laces. 229 Chucks Worn By Pre-Teen Boys and Girls in Ads Boy wearing optical white chucks. 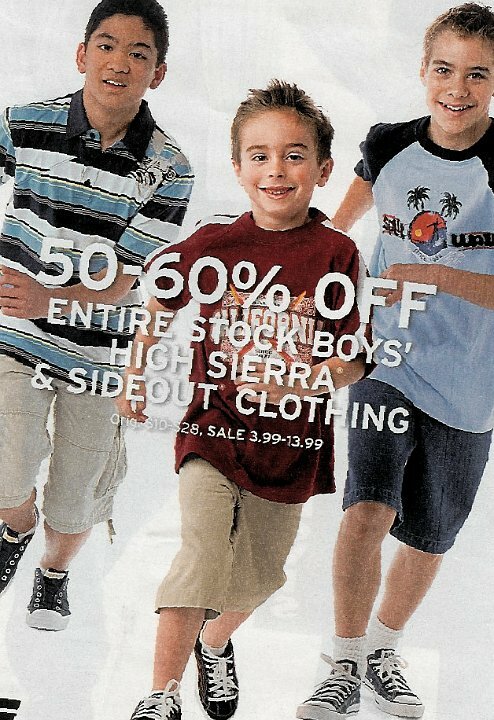 230 Chucks Worn By Pre-Teen Boys and Girls in Ads Girl weearing print high tops. 231 Chucks Worn By Pre-Teen Boys and Girls in Ads Boy wearing black high tops. 232 Chucks Worn By Pre-Teen Boys and Girls in Ads Girls wearing black and pink low cuts. 233 Chucks Worn By Pre-Teen Boys and Girls in Ads Boy wearing natural white chucks. 234 Chucks Worn By Pre-Teen Boys and Girls in Ads Boy wearing tan chucks. 235 Chucks Worn By Pre-Teen Boys and Girls in Ads Girl wearing red high top chucks. 236 Chucks Worn By Pre-Teen Boys and Girls in Ads Boy wearing black low cut chucks. 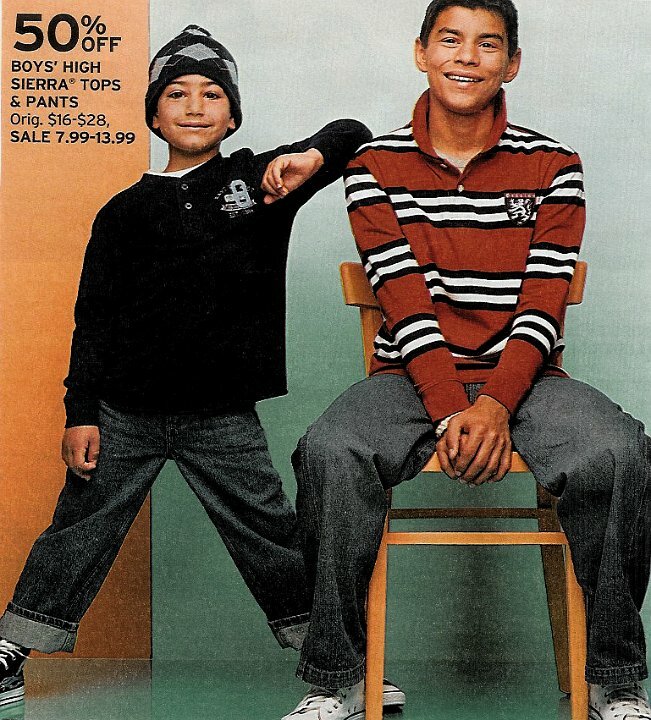 237 Chucks Worn By Pre-Teen Boys and Girls in Ads Seated boy wearing black low cut chucks. 238 Chucks Worn By Pre-Teen Boys and Girls in Ads Boy wearing optical white chucks. 239 Chucks Worn By Pre-Teen Boys and Girls in AdsChucks Worn By Pre-Teen Boys and Girls in Ads Boy wearing black chucks with black shoelaces. 240 Chucks Worn By Pre-Teen Boys and Girls in Ads Girl wearing red low cut chucks. 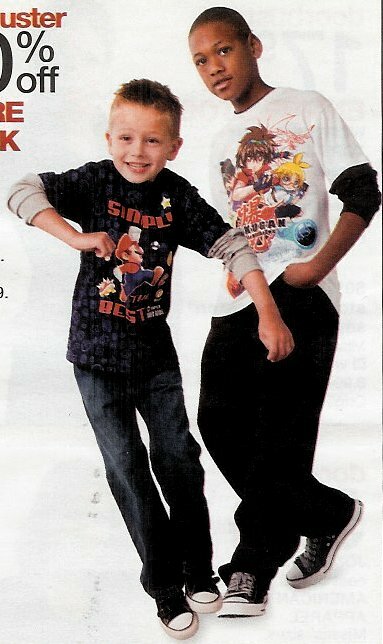 241 Chucks Worn By Pre-Teen Boys and Girls in Ads Boy wearing black high tops and girl wearing raspberry low cut chucks. 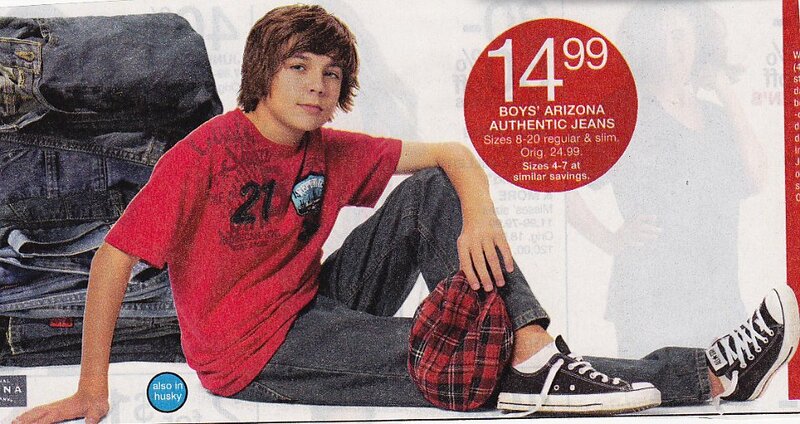 242 Chucks Worn By Pre-Teen Boys and Girls in Ads Boy wearing navy blue low cut chucks. 243 Chucks Worn By Pre-Teen Boys and Girls in Ads Girl wearing black high tops with sky blue shoelaces. 244 Chucks Worn By Pre-Teen Boys and Girls in Ads Boy wearing light grey low cut chucks. 245 Chucks Worn By Pre-Teen Boys and Girls in Ads Boy wearing blue low cut chucks. 246 Chucks Worn By Pre-Teen Boys and Girls in Ads Girl wearing neon pink low cut chucks. 247 Chucks Worn By Pre-Teen Boys and Girls in Ads Boy wearing natural white low cut chucks. 248 Chucks Worn By Pre-Teen Boys and Girls in Ads Boy wearing optical white chucks. 249 Chucks Worn By Pre-Teen Boys and Girls in Ads Boy wearing chocolate brown low cut chucks. 250 Chucks Worn By Pre-Teen Boys and Girls in Ads Boy wearing charcoal grey low cut chucks. 251 Chucks Worn By Pre-Teen Boys and Girls in Ads Boy wearing rolled down black high top chucks. 252 Chucks Worn By Pre-Teen Boys and Girls in Ads Boy wearing rolled down charcoal grey high top chucks. 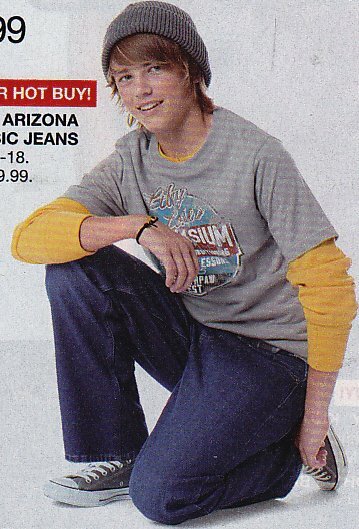 253 Chucks Worn By Pre-Teen Boys and Girls in Ads Gril wearing rolled down black high top chucks with burgundy shoelaces. 254 Chucks Worn By Pre-Teen Boys and Girls in Ads Boy wearing black low cut chucks. 255 Chucks Worn By Pre-Teen Boys and Girls in Ads Boy wearing black low cut chucks. 256 Chucks Worn By Pre-Teen Boys and Girls in Ads Boy wearing black low cut chucks. 257 Chucks Worn By Pre-Teen Boys and Girls in Ads Girls wearing royal blue and white chucks. 258 Chucks Worn By Pre-Teen Boys and Girls in Ads Girl wearing black low cut chucks with red shoelaces. 259 Chucks Worn By Pre-Teen Boys and Girls in Ads Boy wearing black chucks. 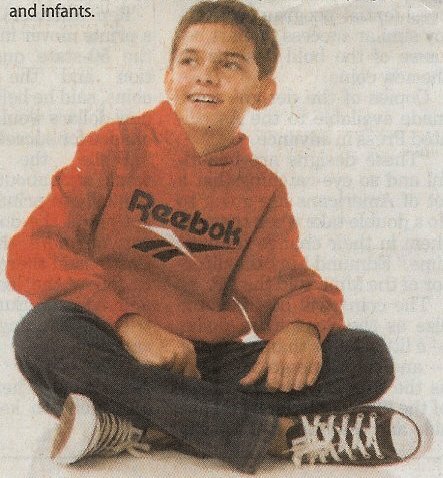 260 Chucks Worn By Pre-Teen Boys and Girls in Ads Boy wearing optical white chucks. 261 Chucks Worn By Pre-Teen Boys and Girls in Ads Boy wearing charcoal grey chucks. 262 Chucks Worn By Pre-Teen Boys and Girls in Ads Kids wearing cranberry red and black chucks with white shoelaces and turquoise chucks with print shoelaces. 263 Chucks Worn By Pre-Teen Boys and Girls in Ads Girl wearing purple low cut chucks. 264 Chucks Worn By Pre-Teen Boys and Girls in Ads Kids wearing black and red high top and low cut chucks. 265 Chucks Worn By Pre-Teen Boys and Girls in Ads Boy wearing black double upper chucks. 266 Chucks Worn By Pre-Teen Boys and Girls in Ads Boy wearing black high top chucks with black shoelaces and girl wearing red chucks. 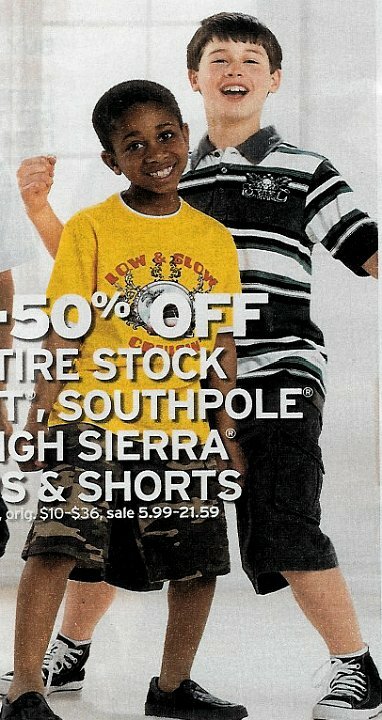 267 Chucks Worn By Pre-Teen Boys and Girls in Ads Kid wearing optical white chucks. 268 Chucks Worn By Pre-Teen Boys and Girls in Ads Boy and girl wearing black chucks. 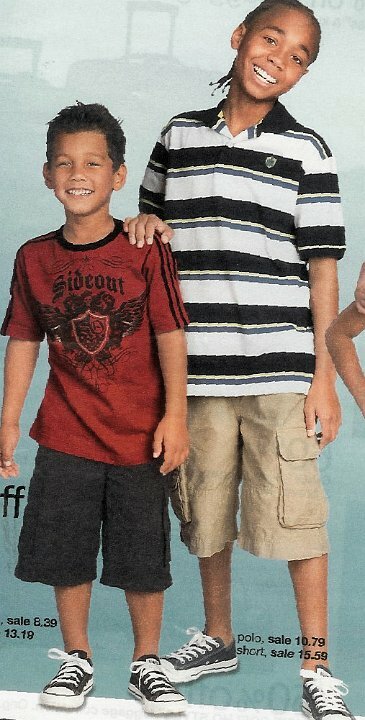 The boy on the right is wearing Pink Floyd chucks. 269 Chucks Worn By Pre-Teen Boys and Girls in Ads Boy wearing charcoal grey chucks. 270 Chucks Worn By Pre-Teen Boys and Girls in Ads Boy wearing black chucks. 271 Chucks Worn By Pre-Teen Boys and Girls in Ads Girl wearing raspberry red chucks with neon pink shoelaces. 272 Chucks Worn By Pre-Teen Boys and Girls in Ads Boy wearing black low cut chucks. 273 Chucks Worn By Pre-Teen Boys and Girls in Ads Boy wearing black chucks. 274 Chucks Worn By Pre-Teen Boys and Girls in Ads Girl wearing red low cut chucks and boy wearing black chucks. 275 Chucks Worn By Pre-Teen Boys and Girls in Ads Boy wearing black chucks. 276 Chucks Worn By Pre-Teen Boys and Girls in Ads Boy wearing black chucks. 277 Chucks Worn By Pre-Teen Boys and Girls in Ads Boys weariing optical white chucks. 278 Chucks Worn By Pre-Teen Boys and Girls in Ads Girl wearing black and red double upper high top chucks. 279 Chucks Worn By Pre-Teen Boys and Girls in Ads Boy wearing black chucks. 281 Chucks Worn By Pre-Teen Boys and Girls in Ads Boy wearing charcoal grey chucks. 282 Chucks Worn By Pre-Teen Boys and Girls in Ads Girl and boy wearing black chucks with black shoelaces and optical white low cut chucks. 283 Chucks Worn By Pre-Teen Boys and Girls in Ads Boys wearing natural white chucks with black shoelaces, black chucks, and black chucks with red shoelaces. 284 Chucks Worn By Pre-Teen Boys and Girls in Ads Girl wearing black low cut chucks. 285 Chucks Worn By Pre-Teen Boys and Girls in Ads Boy wearing charcoal grey low cut chucks. 286 Chucks Worn By Pre-Teen Boys and Girls in Ads Boy wearing grey chucks. 287 Chucks Worn By Pre-Teen Boys and Girls in Ads Kids wearing charcoal grey and red chucks. 288 Chucks Worn By Pre-Teen Boys and Girls in Ads Boy wearing black chucks and girl weearing print chucks. 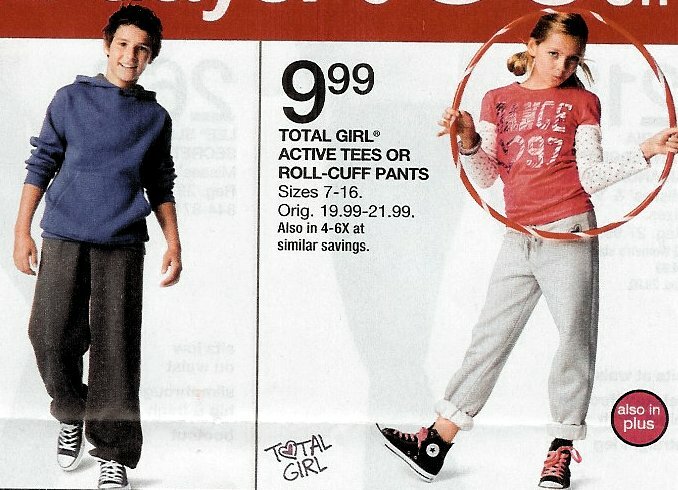 289 Chucks Worn By Pre-Teen Boys and Girls in Ads Girl wearing double upper low cut chucks. 290 Chucks Worn By Pre-Teen Boys and Girls in Ads Boy wearing optical white chucks. 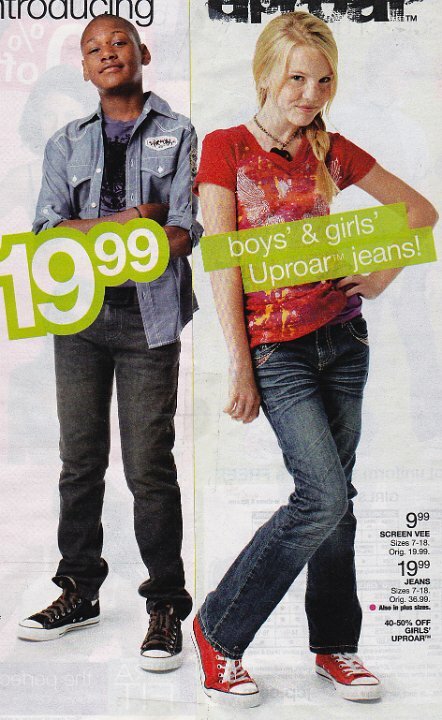 291 Chucks Worn By Pre-Teen Boys and Girls in Ads Girl wearing raspberry low cut chucks. 292 Chucks Worn By Pre-Teen Boys and Girls in Ads Girls wearing purple, black and red low cut chucks. 293 Chucks Worn By Pre-Teen Boys and Girls in Ads Boy wearing black low cut chucks. 294 Chucks Worn By Pre-Teen Boys and Girls in Ads Girl wearing black chucks. 295 Chucks Worn By Pre-Teen Boys and Girls in Ads Girl wearing neon pink low cut chucks. 296 Chucks Worn By Pre-Teen Boys and Girls in Ads Boys wearing chevron sneakers and brown low cut chucks. 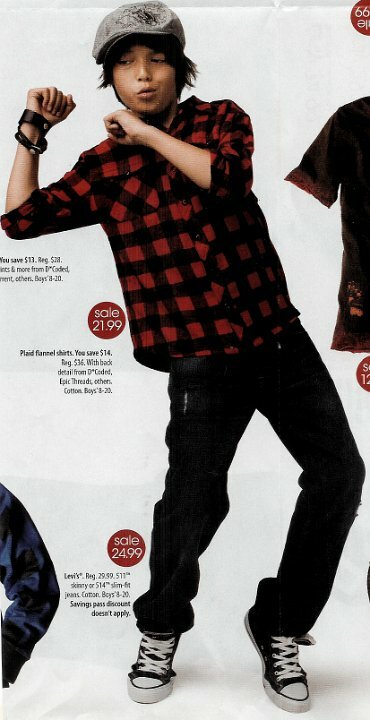 297 Chucks Worn By Pre-Teen Boys and Girls in Ads Boy wearing balck low cut chucks with red shoelaces. 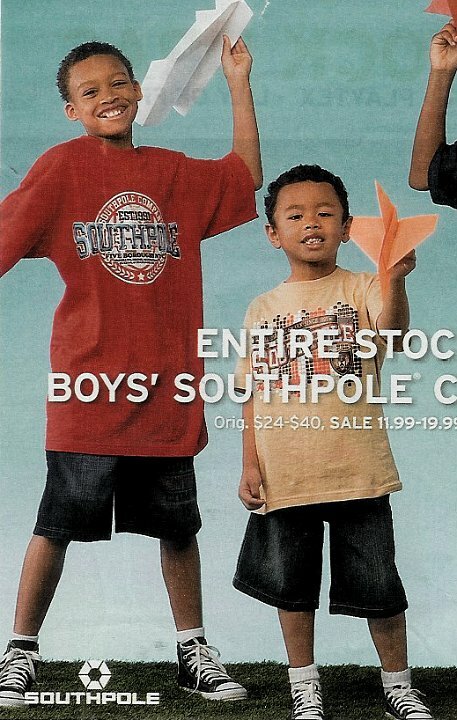 298 Chucks Worn By Pre-Teen Boys and Girls in Ads Girl wearing turquoise low cut chucks. 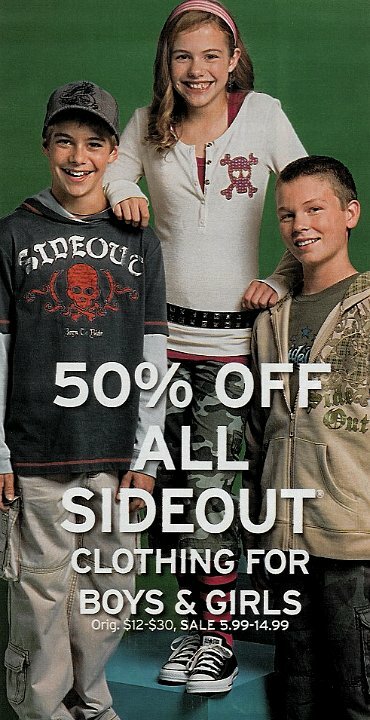 300 Chucks Worn By Pre-Teen Boys and Girls in Ads Girl wearing pattern print low cut chucks.